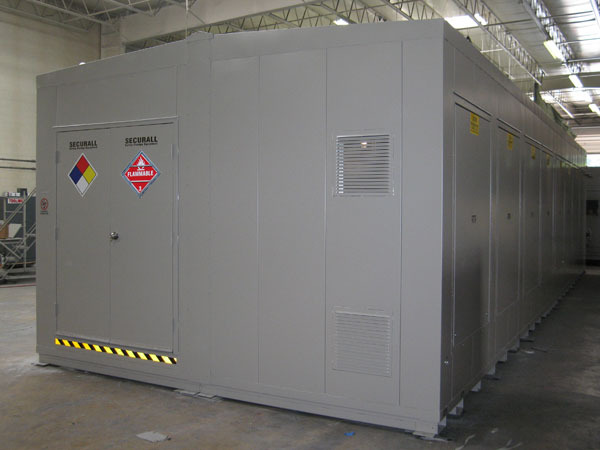 Modular Buildings are the perfect solution if there is a need for a storage unit that exceeds our hazmat models in size. 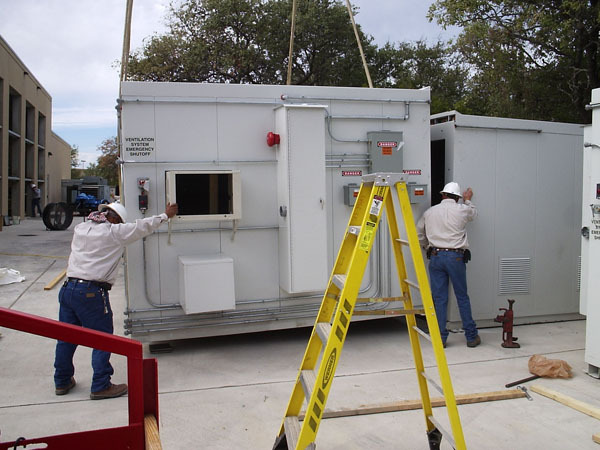 Modular buildings are build to the same safety standards as our standard hazmat building models and can be built with 2 & 4 hr fire rating configuration. Image 1 3-Piece Modular Building. Image 1-1 3-Piece Modular Building. Image 1-2 3-Piece Modular Building. Image 2 2-Piece Modular Building. 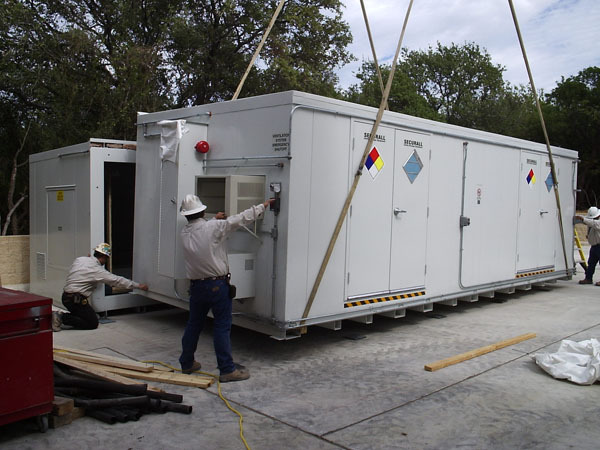 Image 2-2 2-Piece Modular Building. 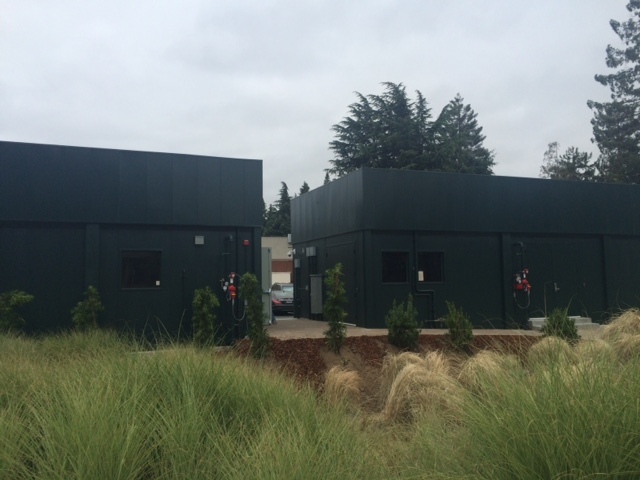 Image 2-3 2-Piece Modular Building. Image 2-4 2-Piece Modular Building. Image 3 2-Piece Modular Building. 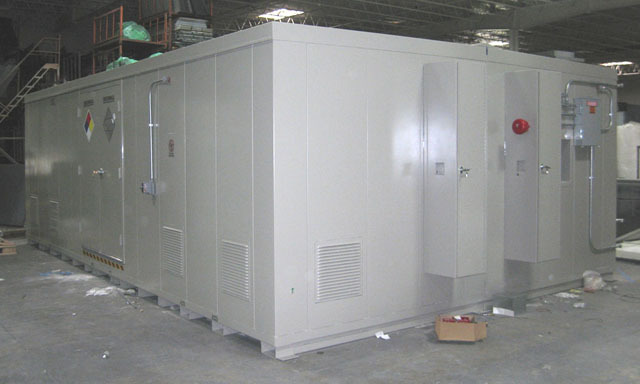 Image 3-1 2-Piece Modular Building. 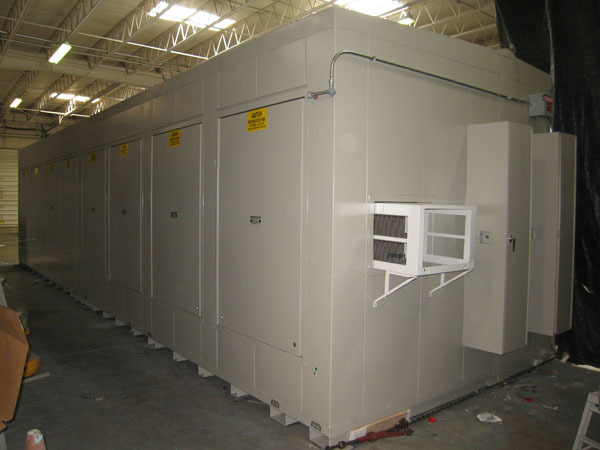 Image 3-2 2-Piece Modular Building. 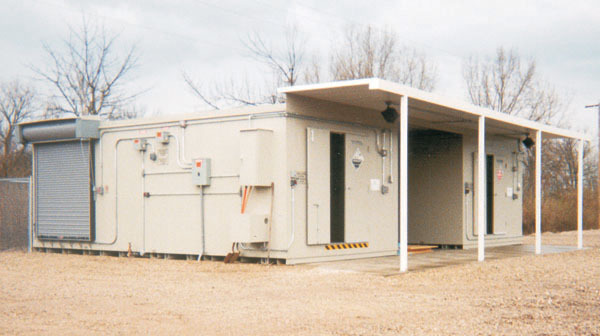 Image 3-3 2-Piece Modular Building. Image 3-4 2-Piece Modular Building. Image 4 2-Piece Modular Building. Image 4-1 2-Piece Modular Building. Image 4-2 2-Piece Modular Building. Image 5 2-Piece Modular Building. 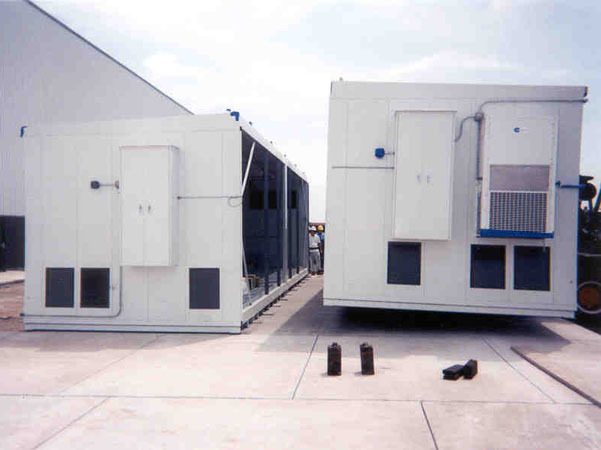 Image 5-1 2-Piece Modular Building. 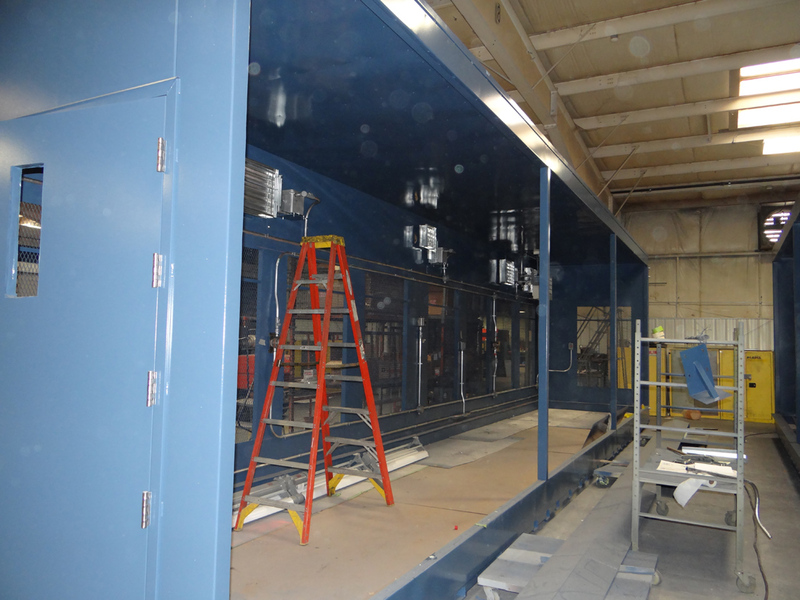 Image 5-2 2-Piece Modular Building. 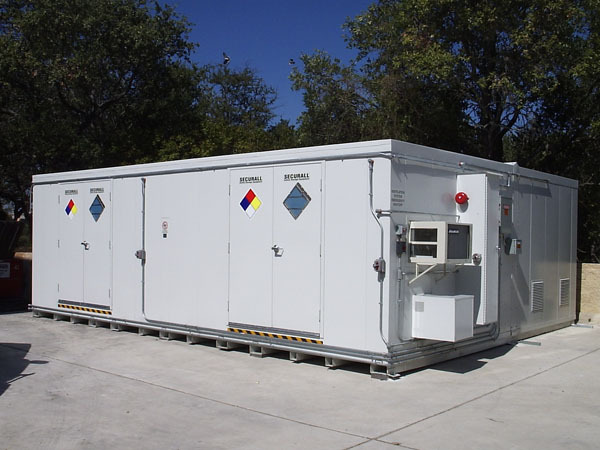 Image 6-1 2-Piece Modular Hazmat Building. 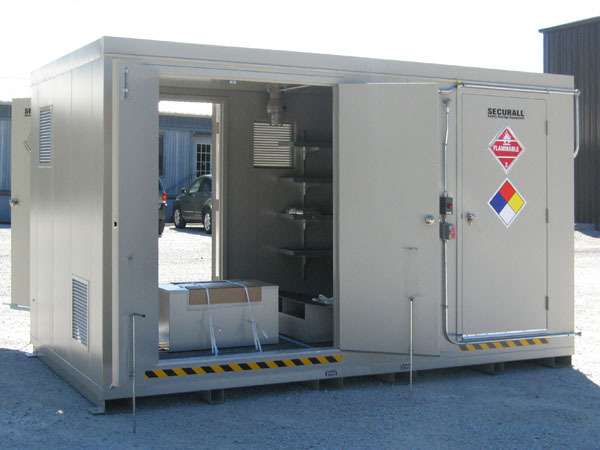 Image 6-2 2-Piece Modular Hazmat Building. 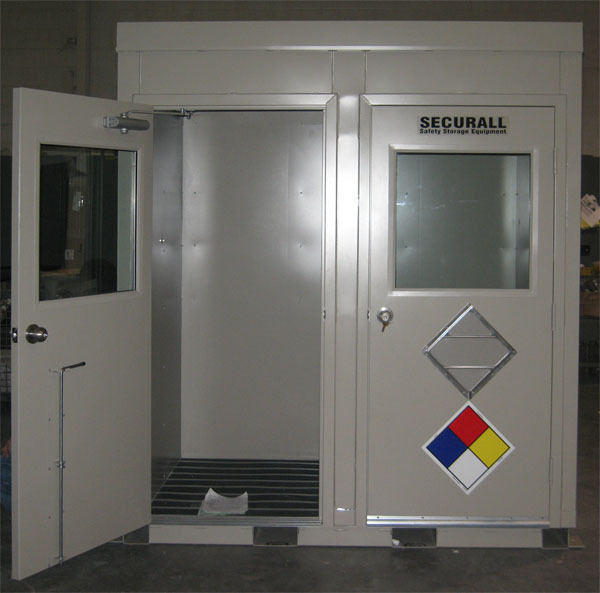 Image 6-3 2-Piece Modular Hazmat Building. 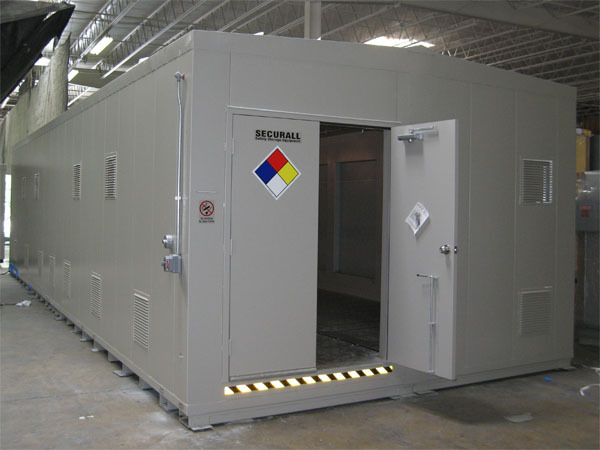 Image 6-4 2-Piece Modular Hazmat Building. Image 7-1 Custom modular building. Image 7-2 Custom modular building. Image 7-3 Custom modular building. Image 7-4 Custom modular building. 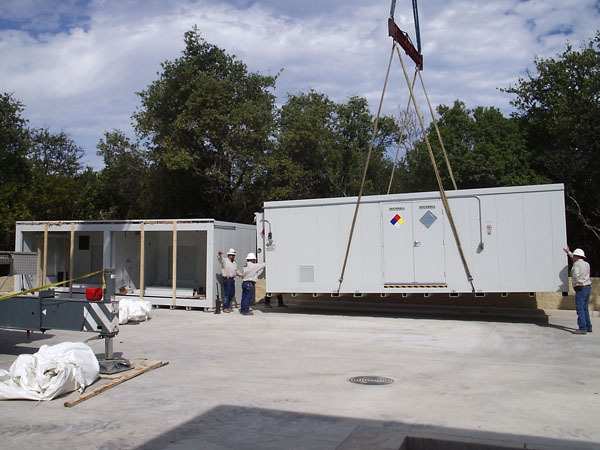 Image 8-1 Custom modular building. 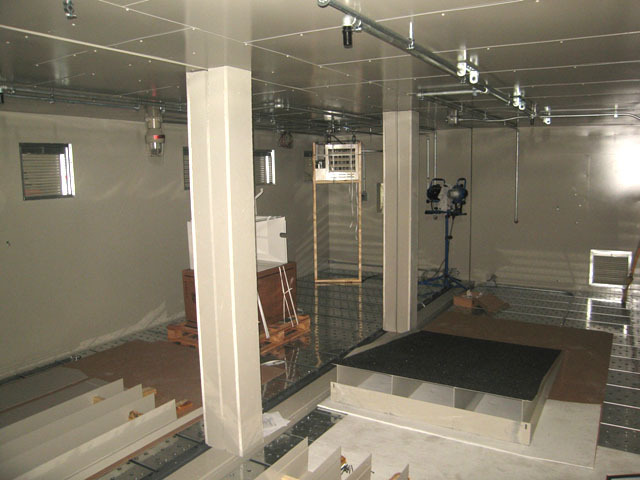 Image 8-2 Custom modular building. 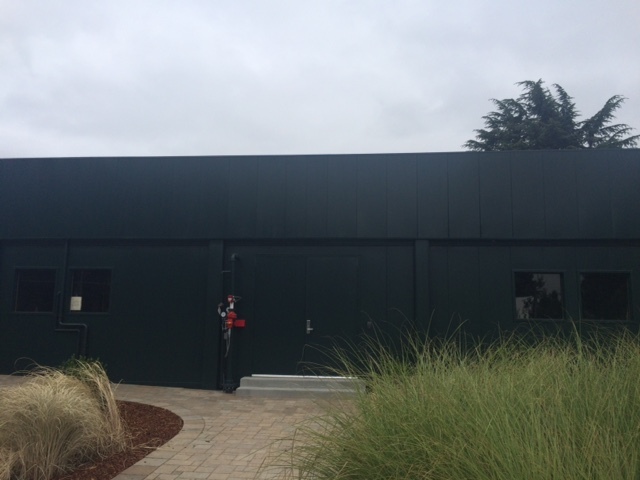 Image 8-3 Custom modular building. 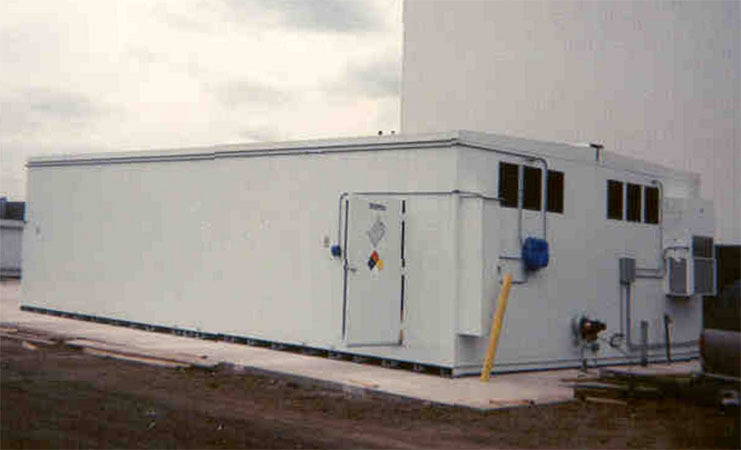 Image 8-4 Custom modular building. 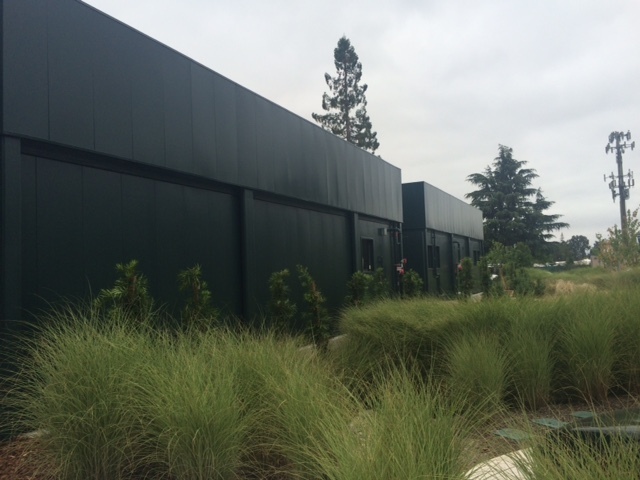 Image 8-5 Custom modular building. 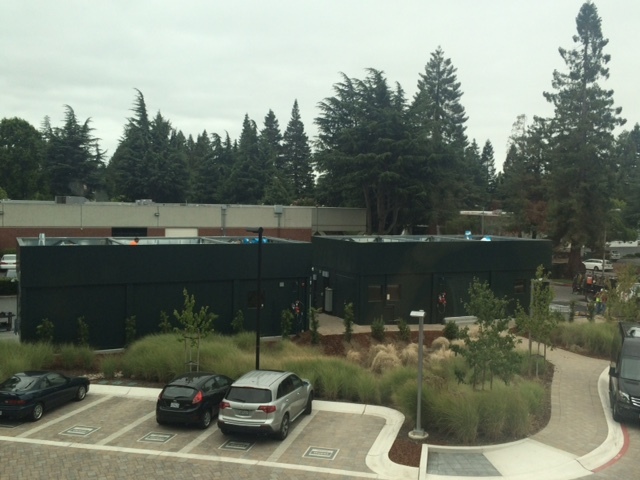 Image 8-6 Custom modular building. 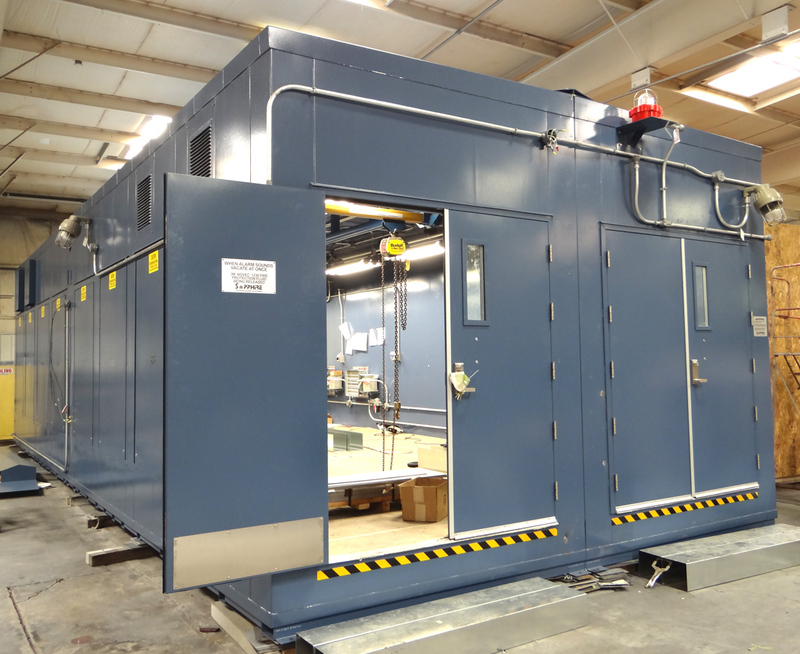 Image 8-7 Custom modular building. Image 9 Hazmat Building with Rooms & Separation Wall. 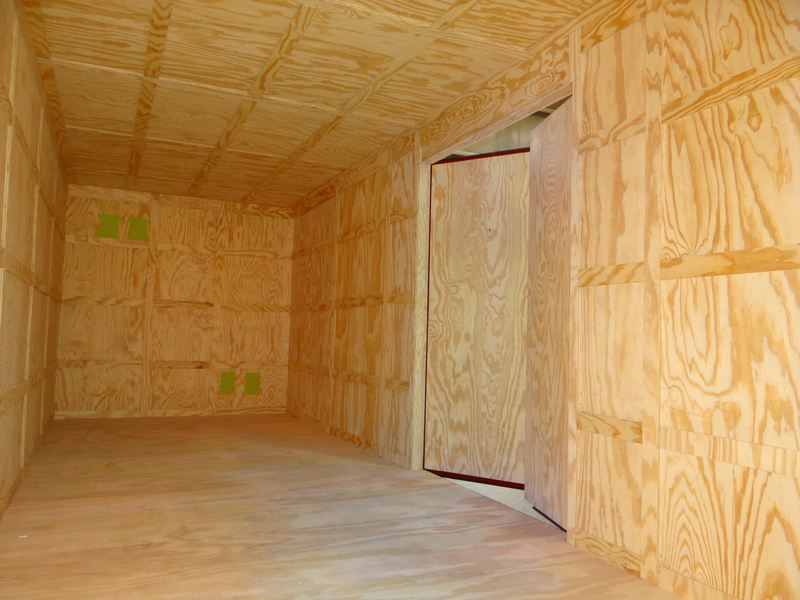 Image 9-1 Hazmat Building with Rooms & Separation Wall. 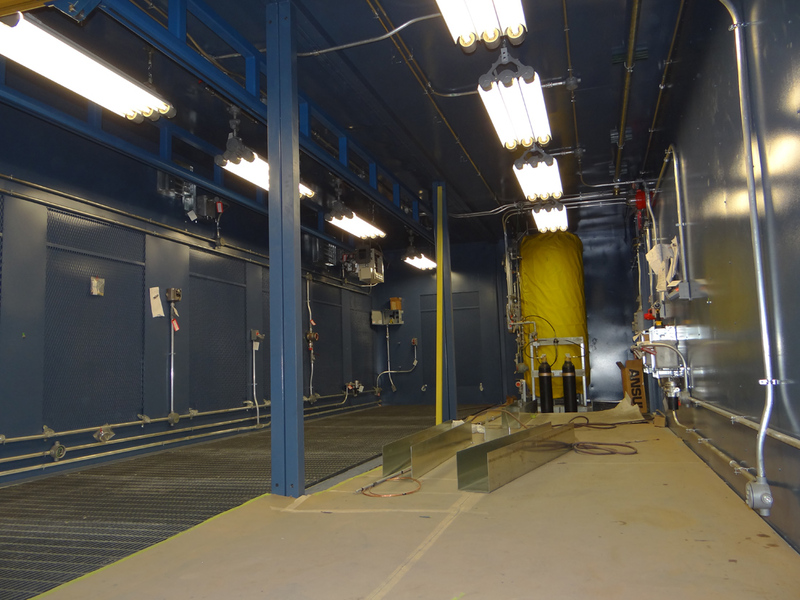 Image 9-2 Hazmat Building with Rooms & Separation Wall. 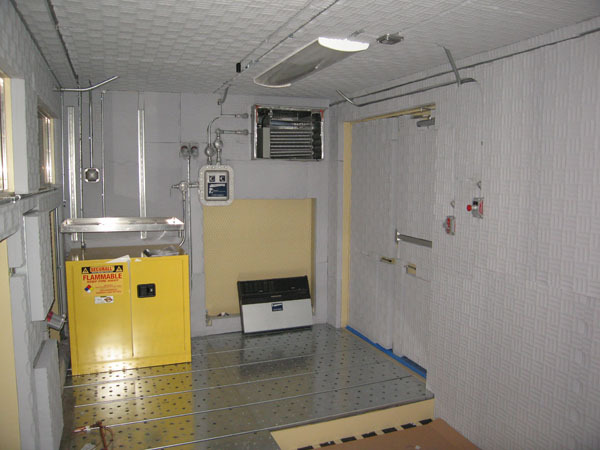 Image 10 Hazmat Building with Rooms & Separation Wall. Image 11 Hazmat Building with Rooms & Separation Wall. 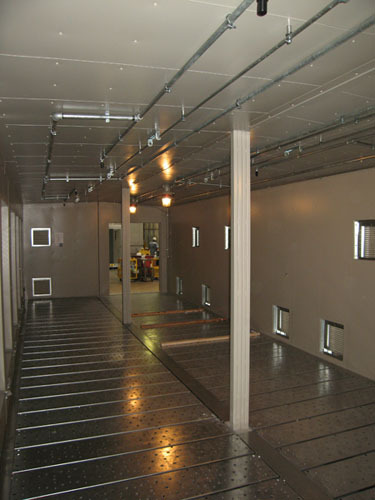 Image 11-1 Hazmat Building with Rooms & Separation Wall. 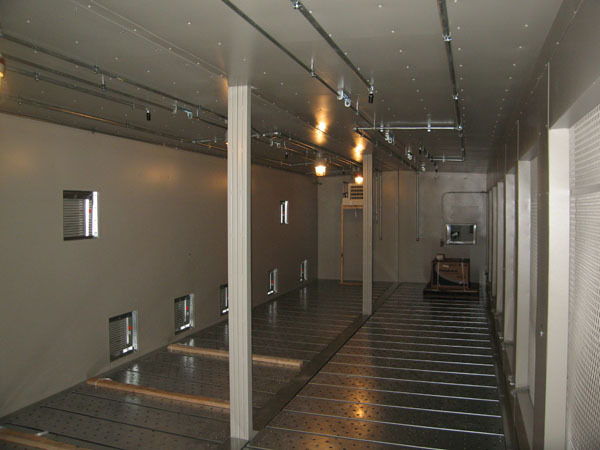 Image 11-2 Hazmat Building with Rooms & Separation Wall. Image 13 Hazmat Building with Rooms & Separation Wall. Image 14 Hazmat Building with Rooms & Separation Wall. 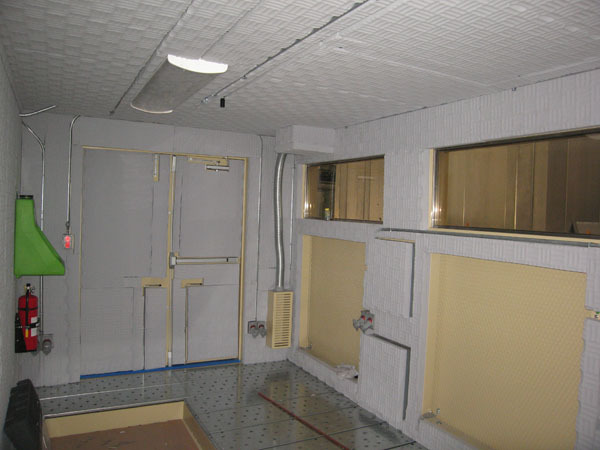 Image 14-1 Hazmat Building with Rooms & Separation Wall. Image 15 Hazmat Building with Rooms & Separation Wall. 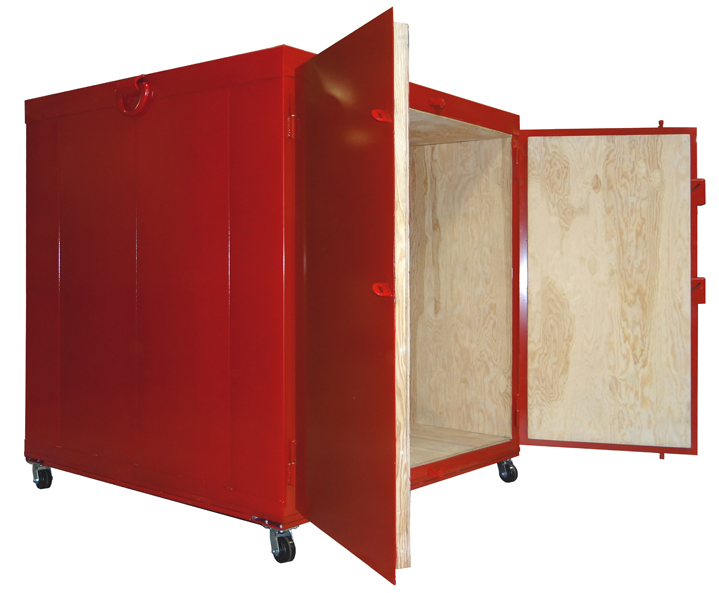 Stackable Drum Storage option is suitable for increased storage capacity. 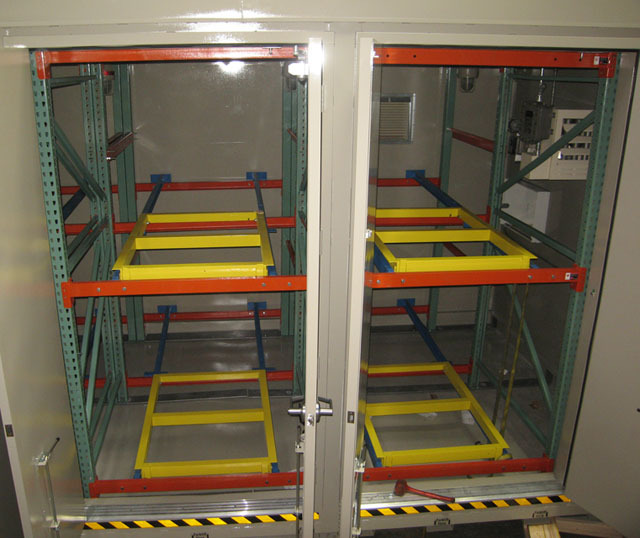 Top rack can be accessible with forklift for easy relocation of drums. 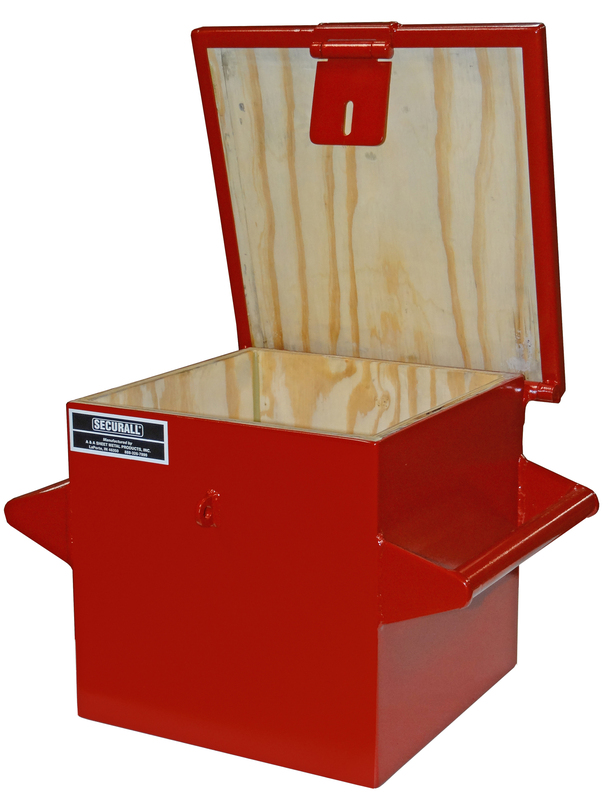 Spill Containment Sumps are sized to comply with current OSHA and EPA requirements. Image 16 Stackable Drum Storage. 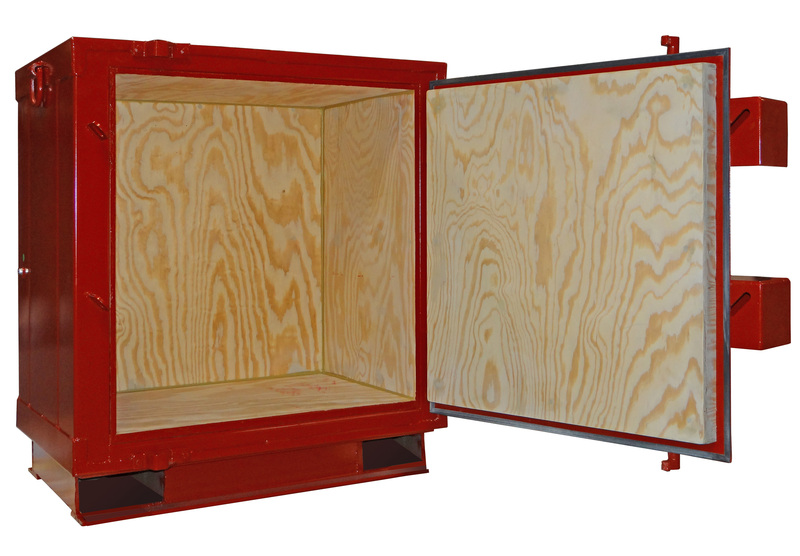 Image 16-1 Stackable Drum Storage. 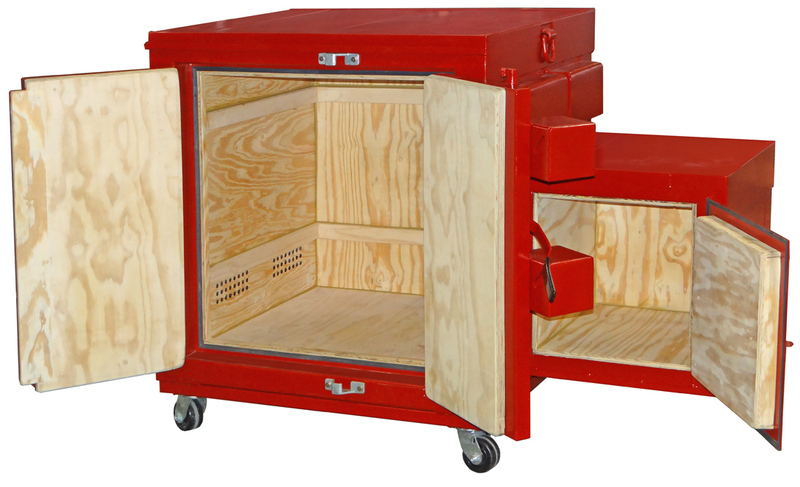 Image 16-2 Stackable Drum Storage. 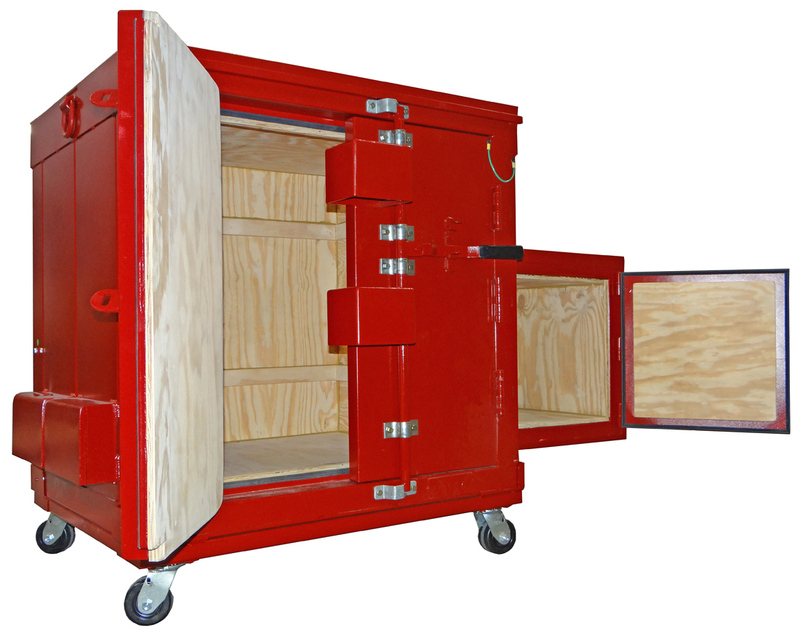 Image 17 Stackable Drum/Tote Storage. 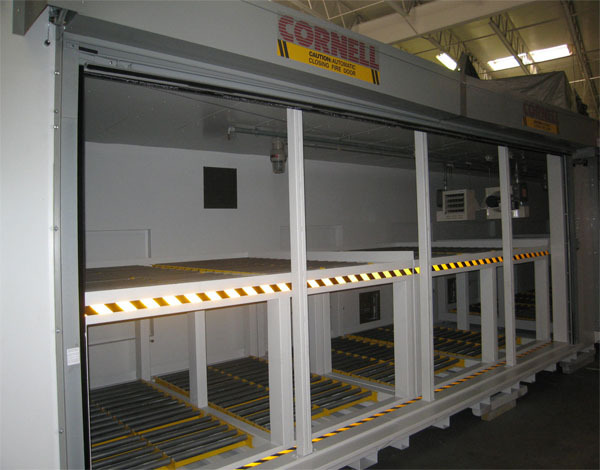 Image 18 Tote Storage Building with Sliding Bottom Racks. 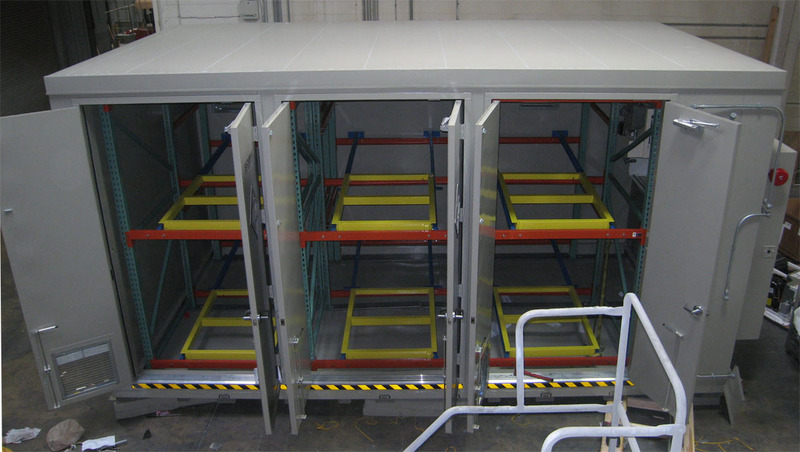 Image 18-1 Tote Storage Building with Sliding Bottom Racks. Image 19 Dual Access Hazmat Drum Storage. 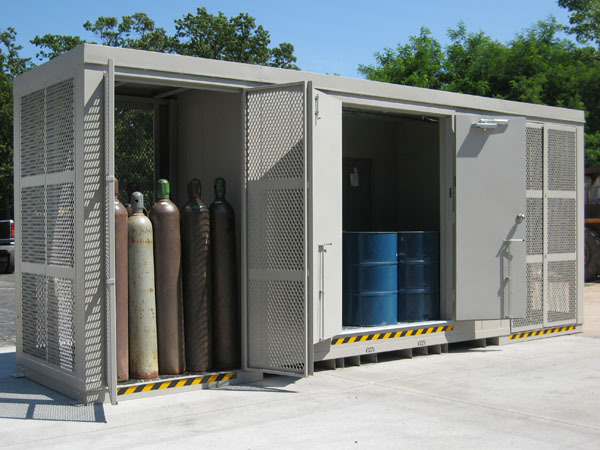 Image 20 Dual Access Hazmat Drum Storage. 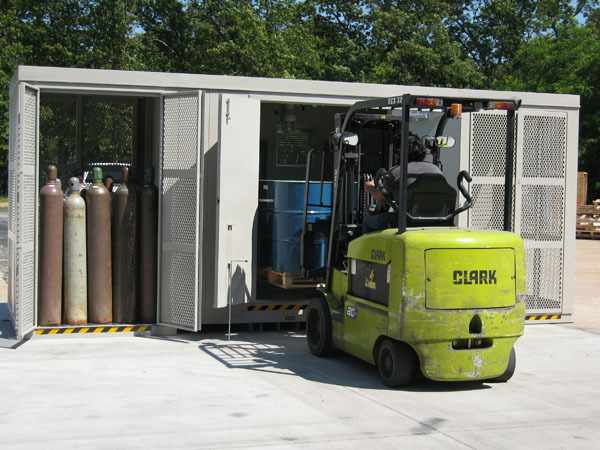 Image 21 Custom Hazmat Storage. Image 23 Prefabricated Hazmat Shed. 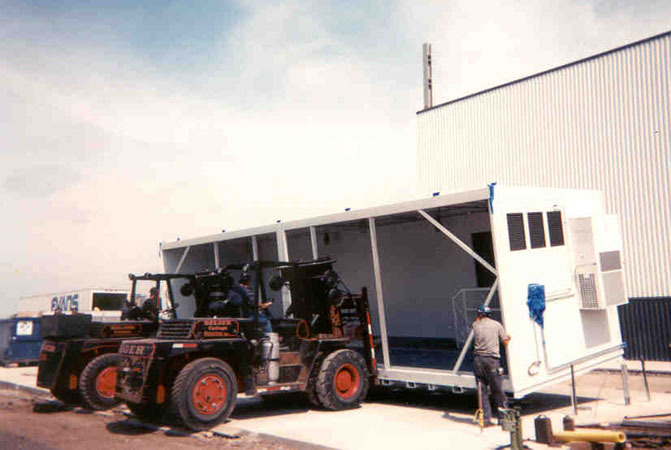 Image 24 Prefabricated Hazmat Shed with Workbenches. 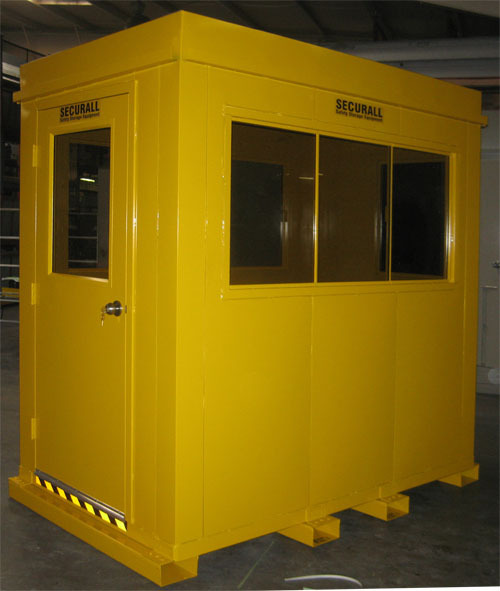 Image 24-1 Prefabricated Hazmat Shed with Workbenches. 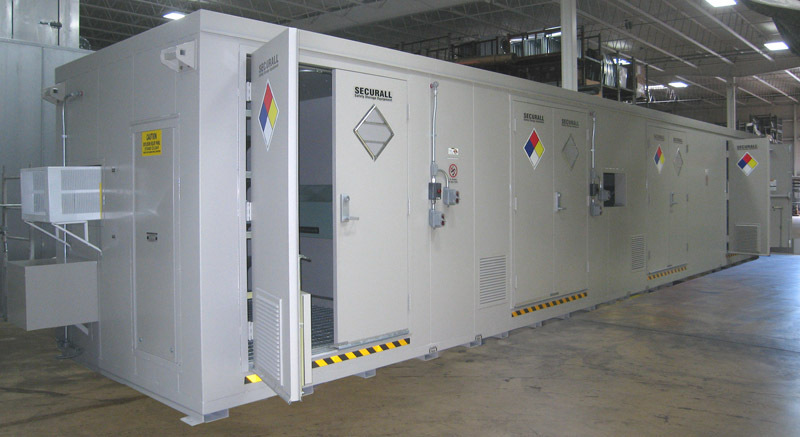 Image 25 Hazmat Building with Multiple Doors. Image 26 Prefabricaed Hazmat Shed/Enclosure. Image 27 Prefabricaed Hazmat Shed & Enclosure. Image 28 Flammable storage Building. Image 29 Hazmat Storage Building. 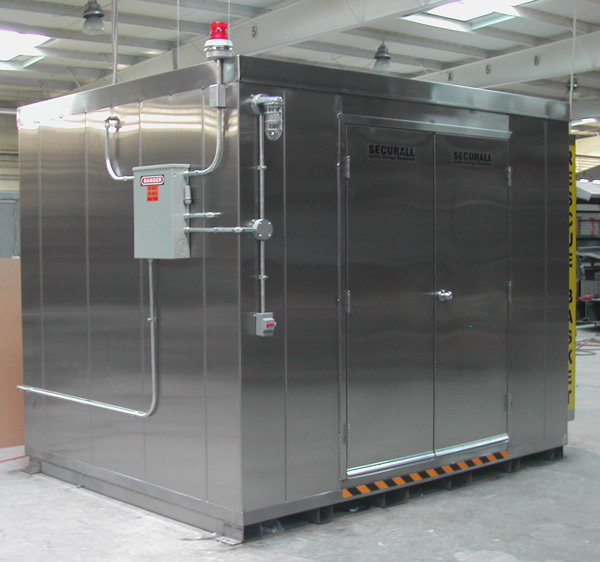 Image 30 Corrosion Resistant Stainless Steel Hazmat Storage Building. 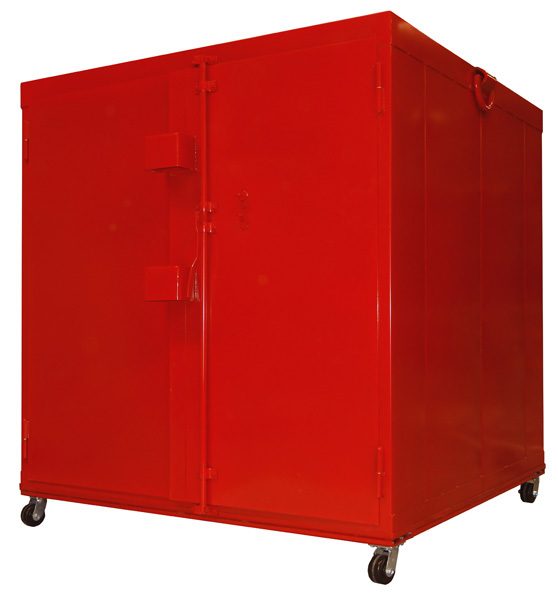 Image 31 Corrosion Resistant Stainless Steel Paint Locker for offshore facility. 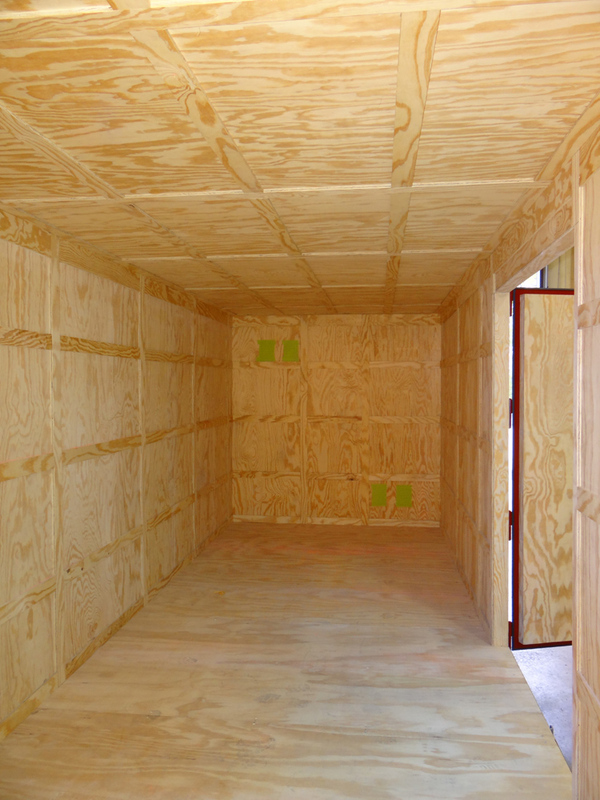 Image 33 Equipment Testing Enclosure with sound absorption walls. 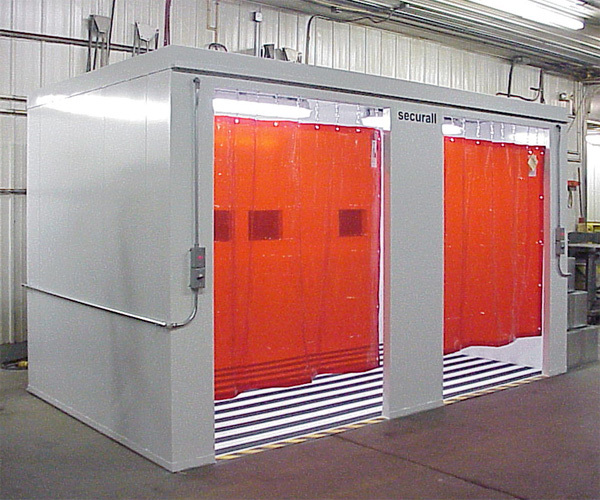 Image 33-1 Equipment Testing Enclosure with sound absorption walls. 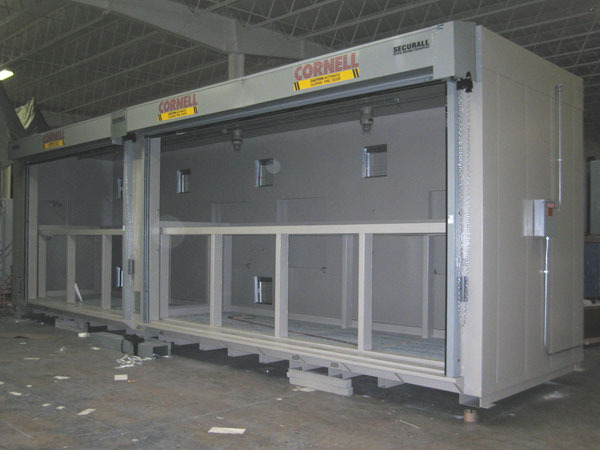 Image 33-2 Equipment Testing Enclosure with sound absorption walls. 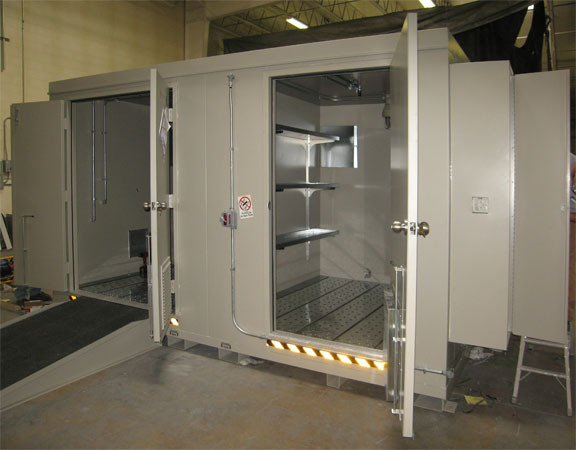 Image 33-3 Equipment Testing Enclosure with sound absorption walls. Image 1 Type 2 Bullet Resistant Outdoor Magazine. Image 1-1 Type 2 Bullet Resistant Outdoor Magazine. Image 1-2 Type 2 Bullet Resistant Outdoor Magazine. Image 1-3 Type 2 Bullet Resistant Outdoor Magazine. Image 2 - M600 Type 4 Magazine. Image 2-1 M600 Type 4 Magazine. Image 2-2 M600 Type 4 Magazine. Image 2-3 M600 Type 4 Magazine. Image 6 M600 - Type 2 Magazine. Image 8-1 Type 2 Bullet Resistant Outdoor Magazine. Image 8-2 Type 2 Bullet Resistant Outdoor Magazine. Image 9 Type 2 Bullet Resistant Outdoor Magazine. Image 9-1 Type 2 Bullet Resistant Outdoor Magazine. Image 10 Type 3 Daybox. Image 10-1 Type 3 Daybox. Image 10-2 Type 3 Daybox. 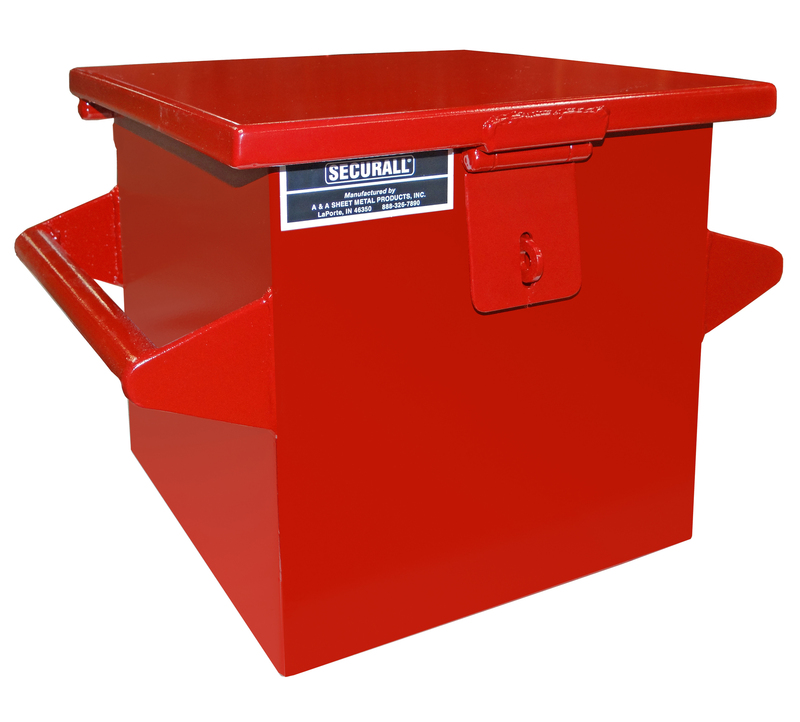 B1600 - Sump Capacity to Hold 16/55 Gal. 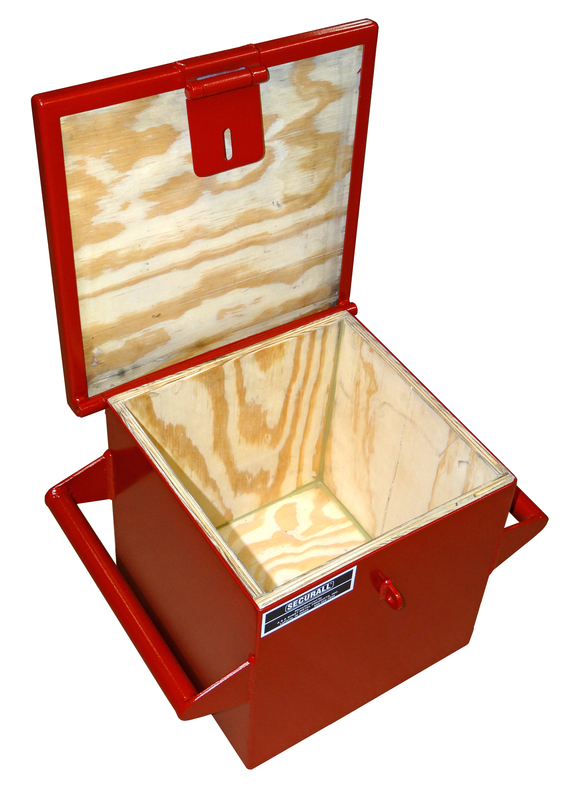 Drum; Sump Capacity 272 Gal. 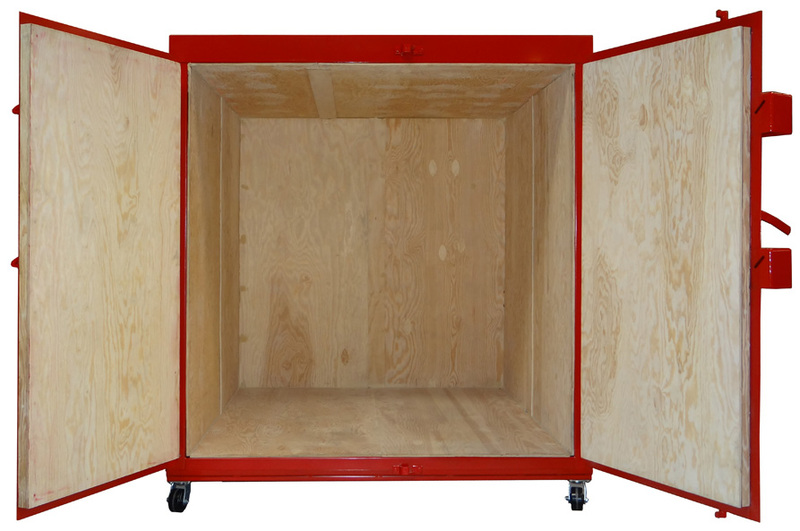 ; Exterior Dimension 8'4" H x 10' W x 8' D; Approx. Ship. Wt. 5,515 Lbs. OPFR2-1600 - 2 Hour Fire Rating Upgrade; Approx. Ship. Wt. 3,253 Lbs. OPFR4-1600 - 4 Hour Fire Rating Upgrade; Approx. Ship. Wt. 3,8698 Lbs. 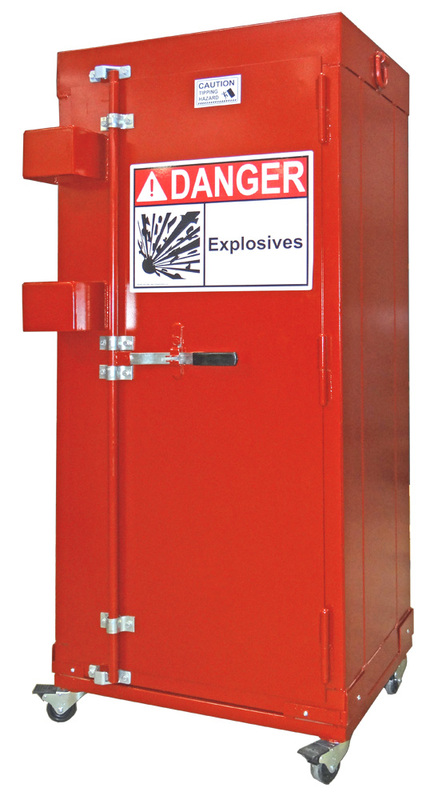 OPXRP-1600 Explosion Relief Panel; 2-48" X 60"
B2400 - Sump Capacity to Hold 24/55 Gal. 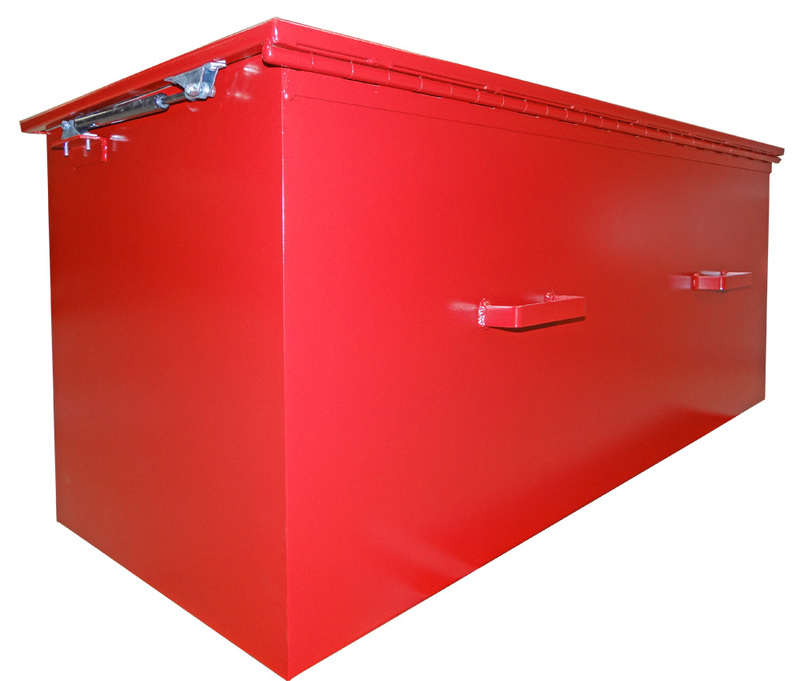 Drum; Sump Capacity 393 Gal. ; Exterior Dimension 8'4"H x 14'W x 8'D; Approx. Ship. Wt. 6,994 Lbs. 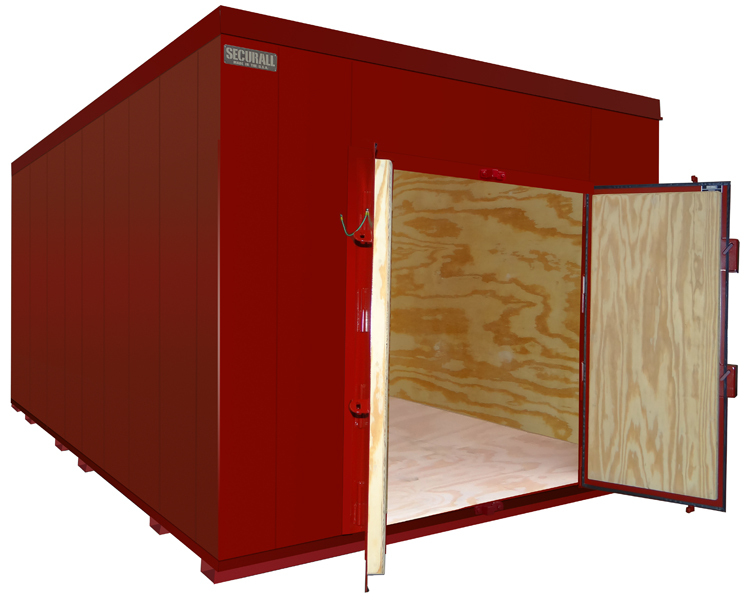 OPFR2-2400 - 2 Hour Fire Rating Upgrade; Approx. Ship. Wt. 3,600 Lbs. OPFR4-2400 - 4 Hour Fire Rating Upgrade; Approx. Ship. Wt. 5,107 Lbs. 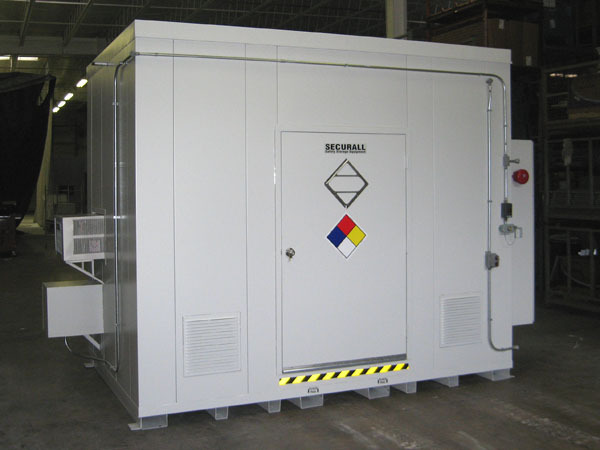 OPXRP-2400 Explosion Relief Panel; 1 - 24" X 60" and 2 - 48" X 60"
B3200 - Sump Capacity to Hold 32/55 Gal. Drum; Sump Capacity 514 Gal. ; Exterior Dimension 8'4"H x 18'W x 8'D; Approx. Ship. Wt. 8,652 Lbs. 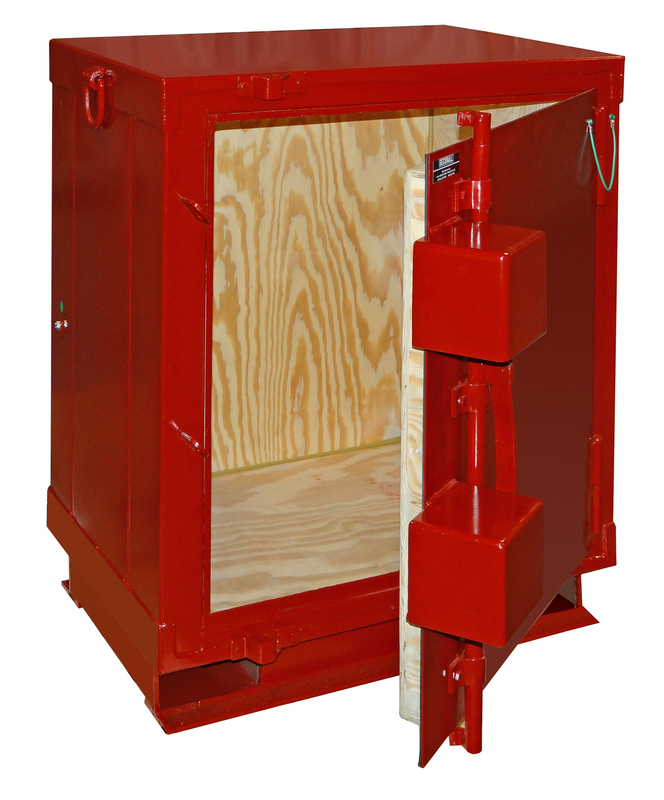 OPFR2-3200 - 2 Hour Fire Rating Upgrade; Approx. Ship. Wt. 4,356 Lbs. OPFR4-3200 - 4 Hour Fire Rating Upgrade; Approx. Ship. Wt. 6,194 Lbs. 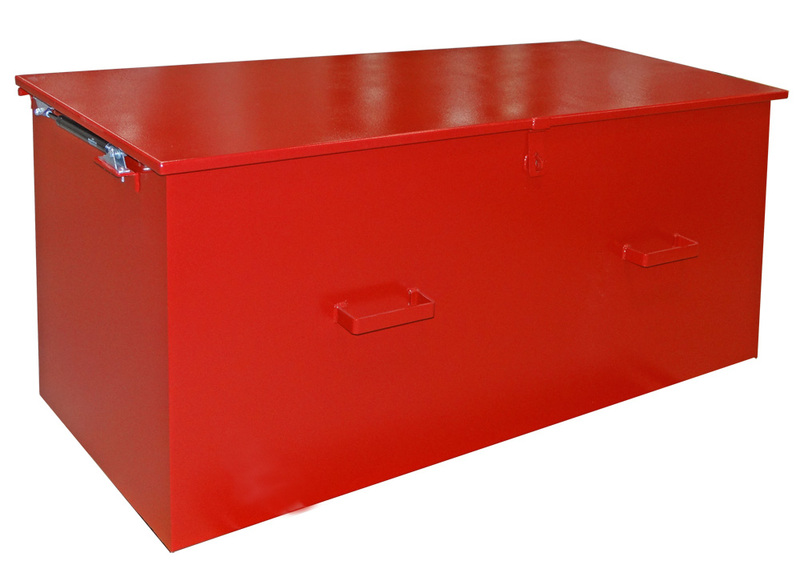 OPXRP-3200 Explosion Relief Panel; 3 - 48" X 60"
B3800 - Sump Capacity to Hold 38/55 Gal. Drum; Sump Capacity 636 Gal. ; Exterior Dimension 8'4"H x 22'W x 8'D; Approx. Ship. Wt. 9,309 Lbs. 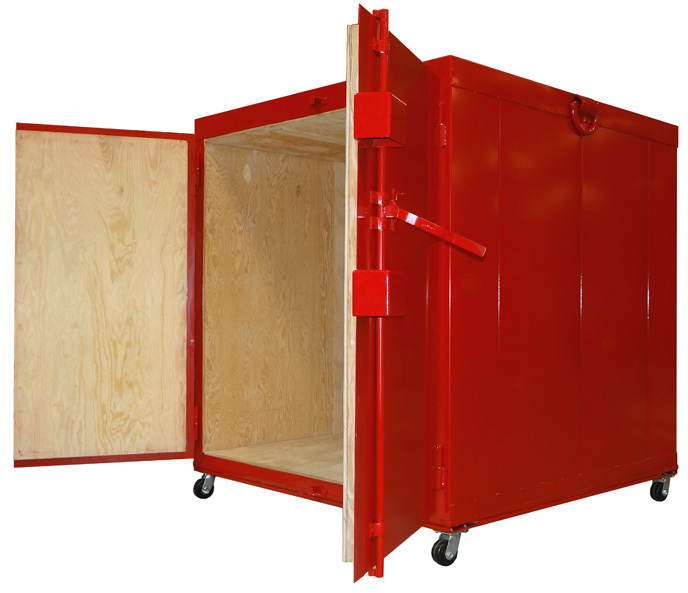 OPFR2-3800 - 2 Hour Fire Rating Upgrade; Approx. Ship. Wt. 6,090 Lbs. OPFR4-3800 - 4 Hour Fire Rating Upgrade; Approx. Ship. Wt. 8,258 Lbs. 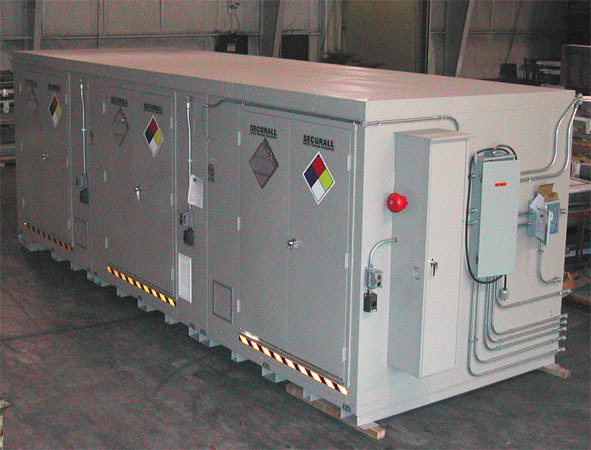 OPXRP-3800 Explosion Relief Panel; 1 - 24" x 60" & 3 - 48" X 60"
B4800 - Sump Capacity to Hold 48/55 Gal. 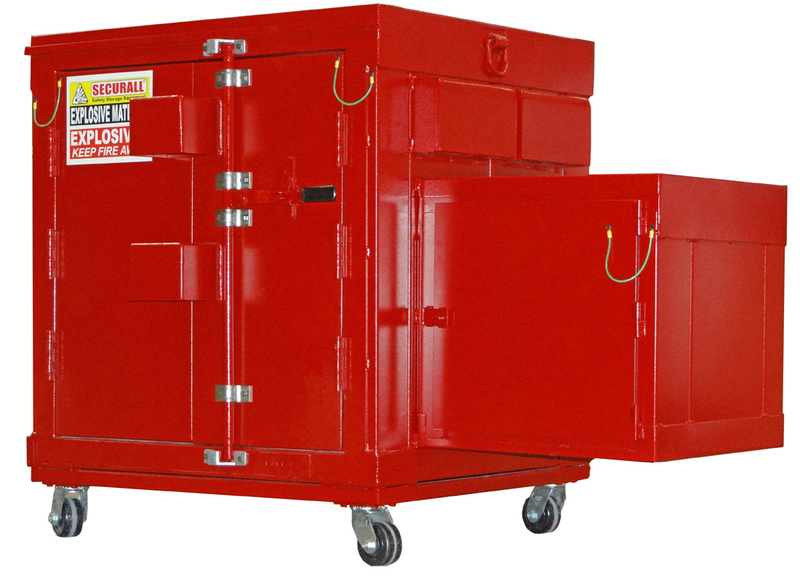 Drum; Sump Capacity 757 Gal. ; Exterior Dimension 8'4"H x 26'W x 8'D; Approx. Ship. Wt. 9,963 Lbs. OPFR2-4800 - 2 Hour Fire Rating Upgrade; Approx. Ship. Wt. 7,823 Lbs. OPFR4-4800 - 4 Hour Fire Rating Upgrade; Approx. Ship. Wt. 10,322 Lbs. 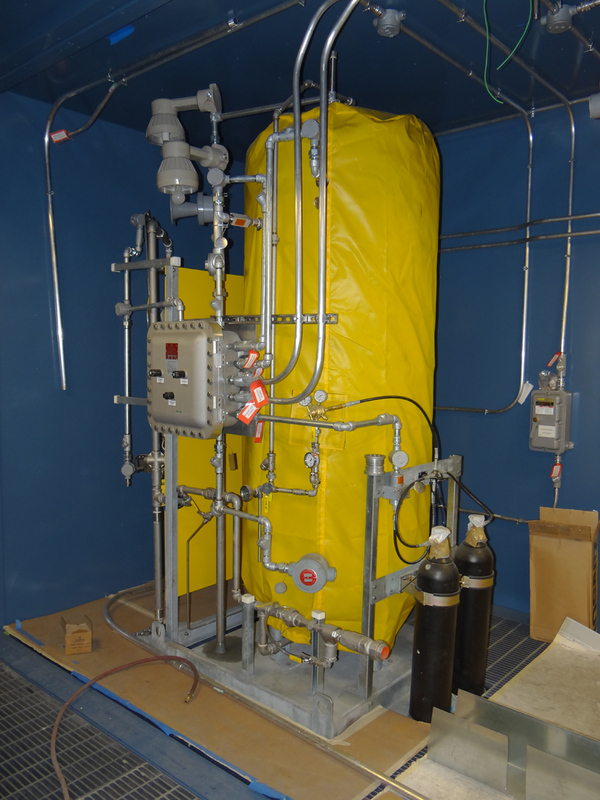 OPXRP-4800 Explosion Relief Panel; 4 - 48" X 60"
B6400 - Sump Capacity to Hold 64/55 Gal. 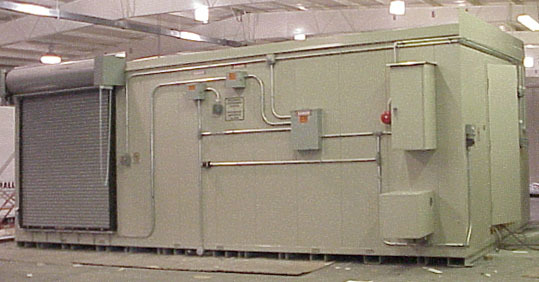 Drum; Sump Capacity 1,000 Gal. ; Exterior Dimension 8'4"H x 34'W x 8'D; Approx. Ship. Wt. 12,851 Lbs. 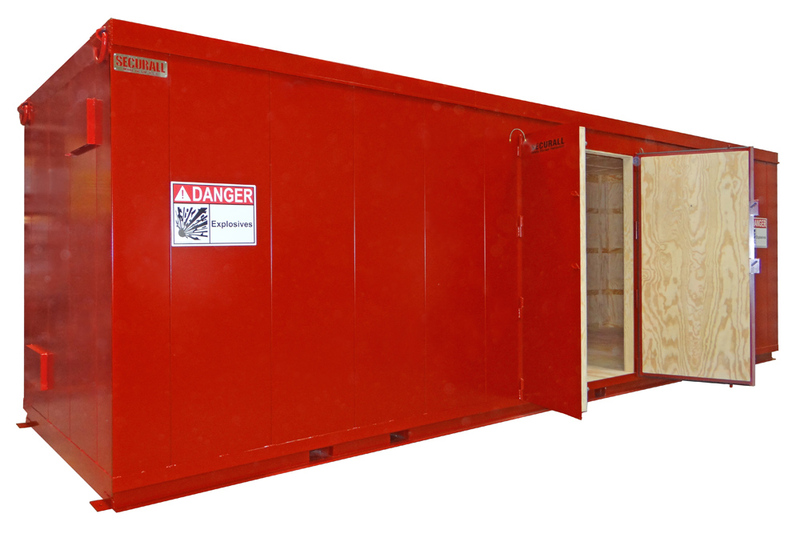 OPFR2-6400 - 2 Hour Fire Rating Upgrade; Approx. Ship. Wt. 9,616 Lbs. OPFR4-6400 - 4 Hour Fire Rating Upgrade; Approx. Ship. Wt. 12,777 Lbs. 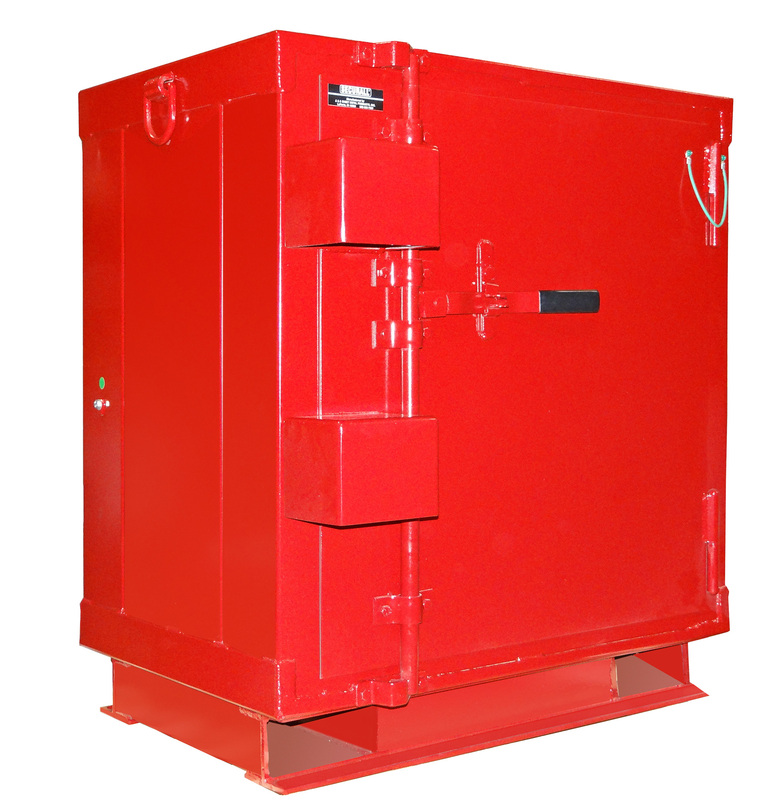 OPXRP-6400 Explosion Relief Panel; 5-48" X 60"
B8000 - Sump Capacity to Hold 80/55 Gal. Drum; Sump Capacity 1,243 Gal. ; Exterior Dimension 8'4"H x 42'W x 8'D ; Approx. Ship. Wt. 15,369 Lbs. 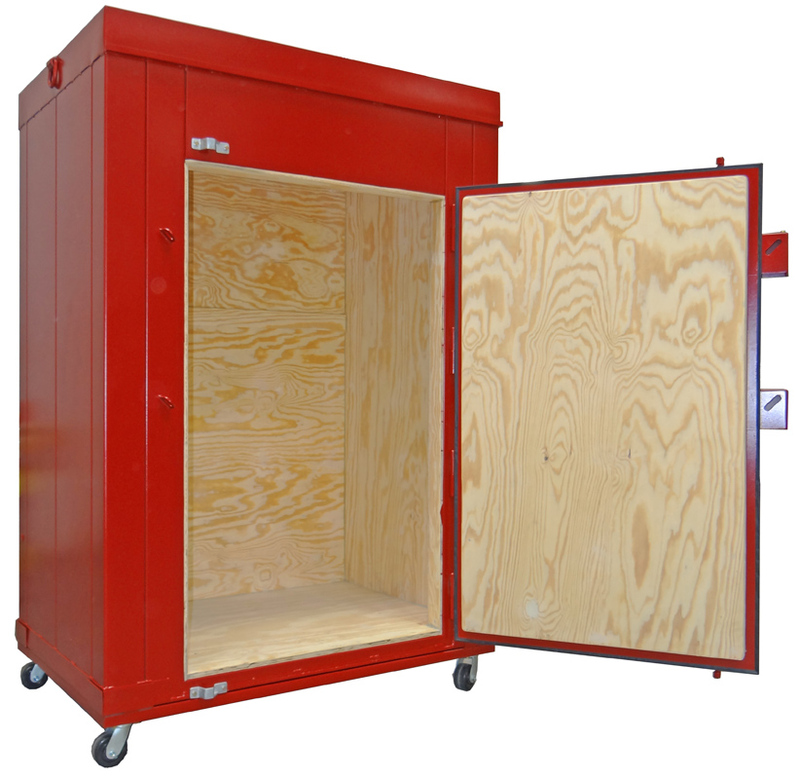 OPFR2-8000 - 2 Hour Fire Rating Upgrade; Approx. Ship. Wt. 11,737 Lbs. 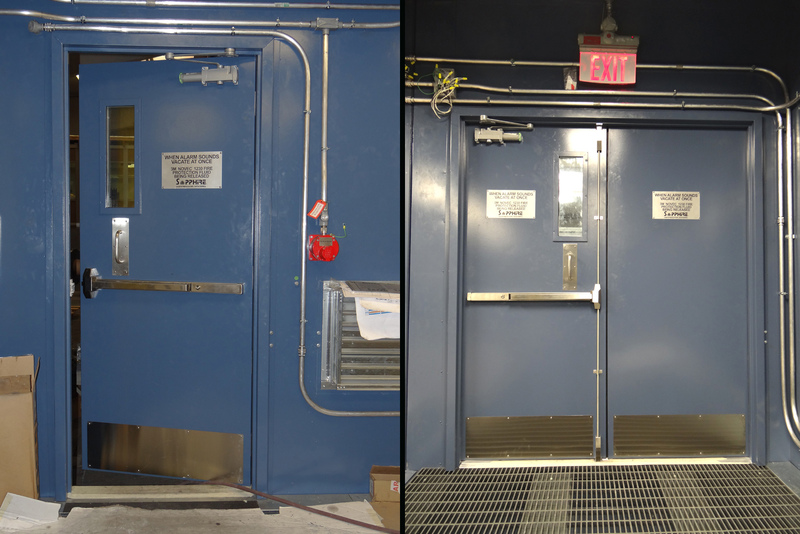 OPFR4-8000 - 4 Hour Fire Rating Upgrade; Approx. Ship. Wt. 15,537 Lbs. 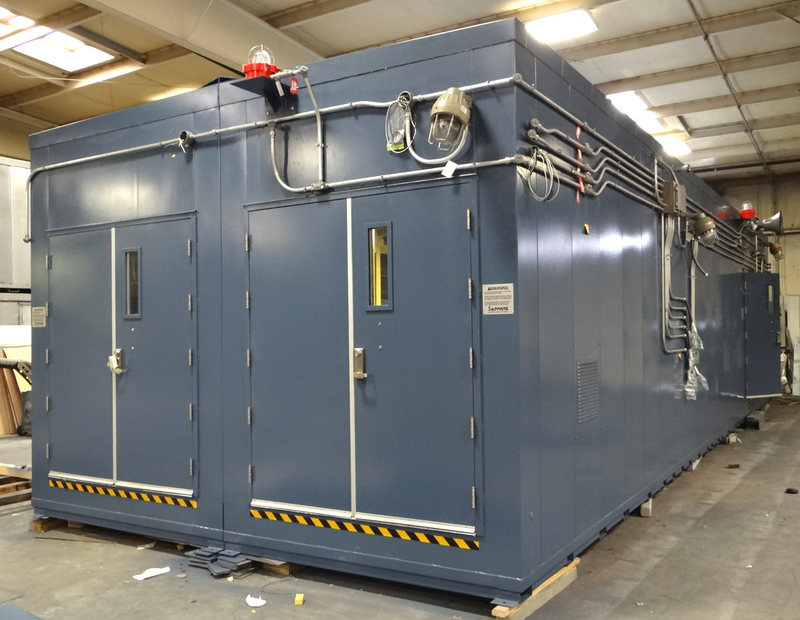 OPXRP-8000 Explosion Relief Panel; 6 - 48" X 60"
Exterior Walls: (Models B200 through B1200) 16 gauge galvannealed steel. 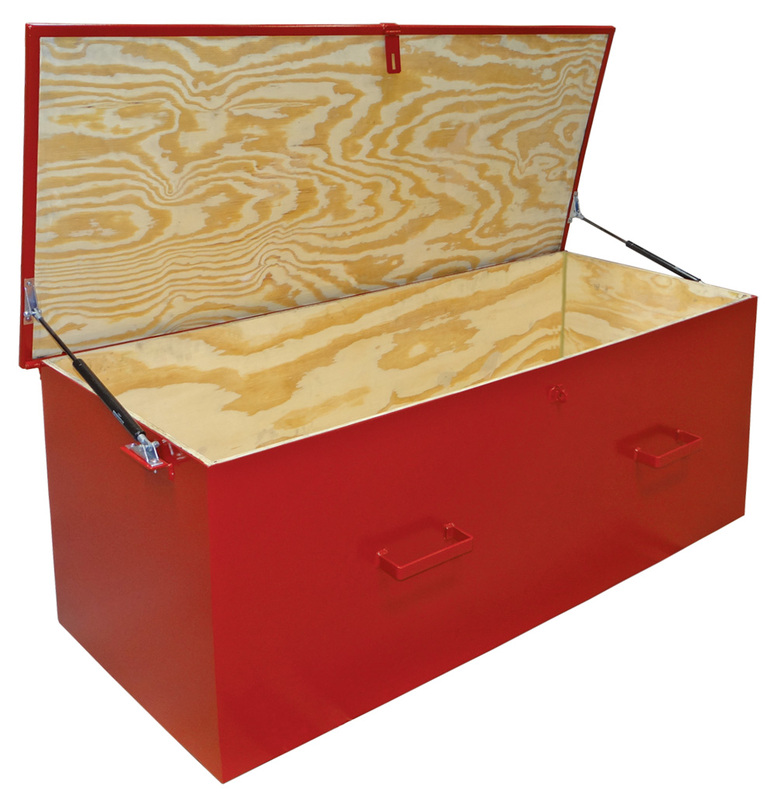 Sump: 12-gauge steel liquid tight, continuously welded. 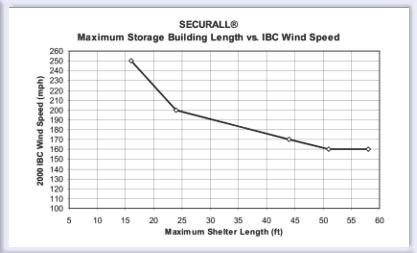 Securall Buildings have been tested to determine the amount of force they can withstand and were shown to withstand F-4 tornado force winds of 250 mph. The chart below demonstrates the wind speed that a particular length of wall will resist. Upgrade package is available for Tornado Resistant Walls. 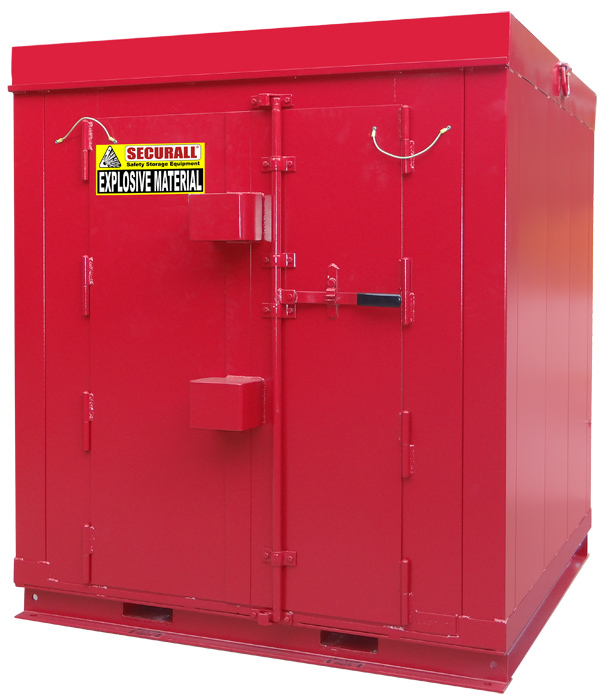 Securall Hazamat Storage Buildings are all-welded using 12 gauge (B1600X-B8000X Models) and 16 gauge (B200X-B1200X Models) galvannealed steel outer walls and 20 gauge cold rolled steel inner walls provide maximum durability, weather resistance, and rigidity. 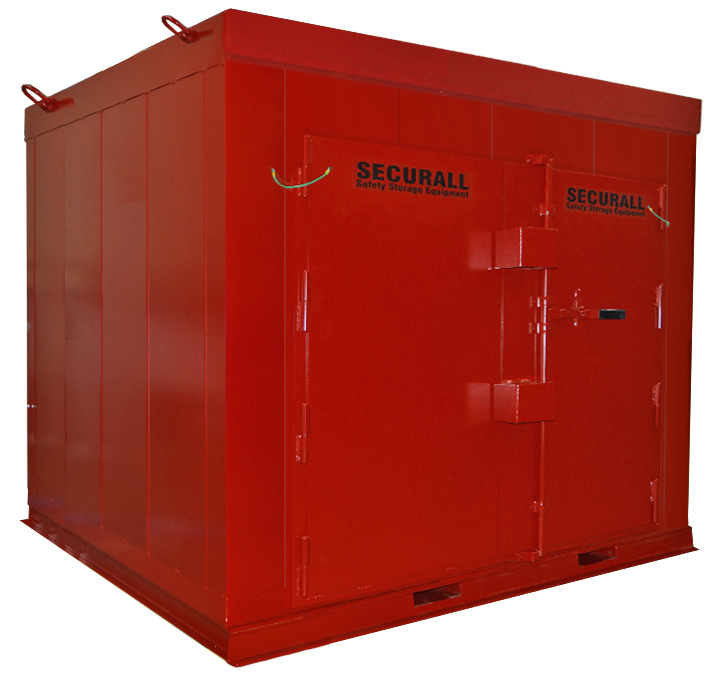 Securall Fire-Rated Storage Buildings (8'4"H X 42'W X 9'D Max Dimensions) carry the Factory Mutual System Approval label and have an FM Approved Fire Rated Wall & Roof Design. 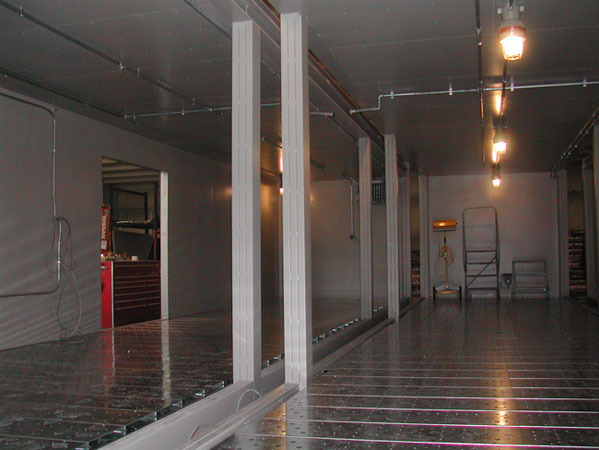 Wall and Roof are Tested at Intertek Testing Laboratories. 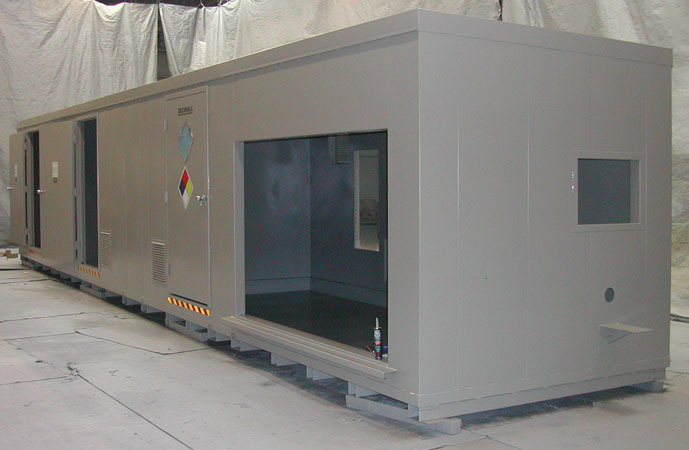 Securall Fire-Rated Storage Buildings constructed based upon UL Fire Resistance Ratings classification criteria. 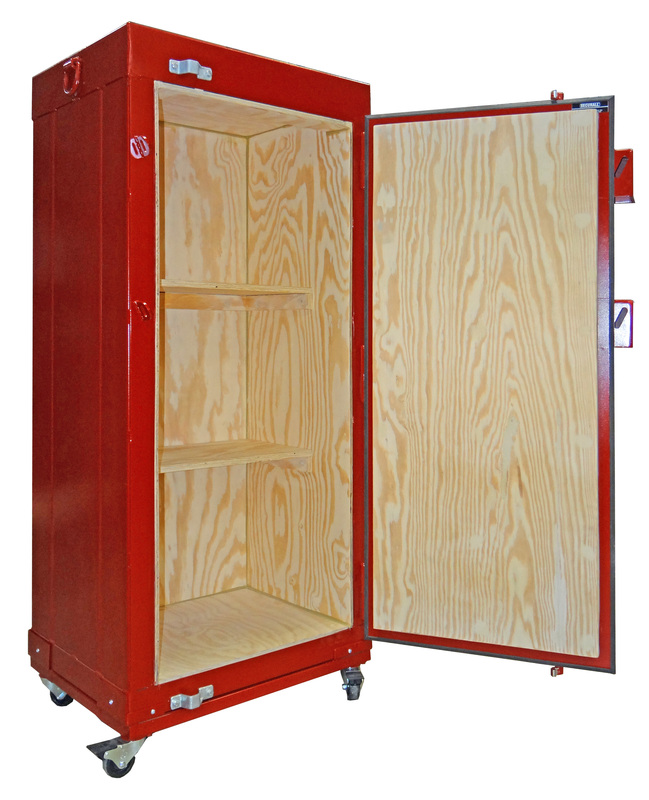 Standard models are available in 2-hour and 4-hour fire ratings. Wall ratings are either 2 or 4 hour fire rated . Roof ratings are either 1.5 or 3 hour fire rated (Check with your local authority having jurisdiction for correct wall/roof rating needed). 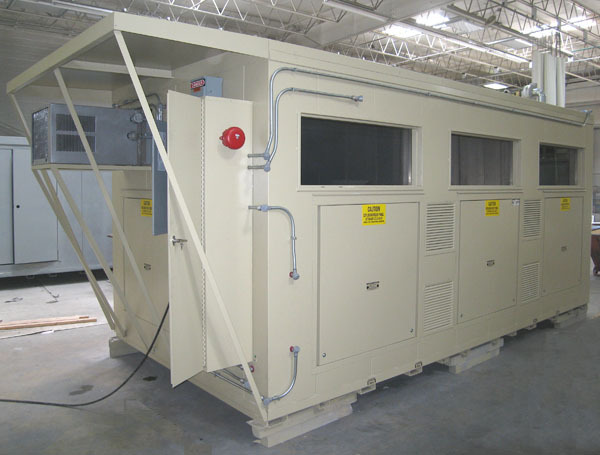 In addition, all Fire-Rated Buildings come with hydraulic operated self-closing, fire-rated doors and fire damper protected vents. 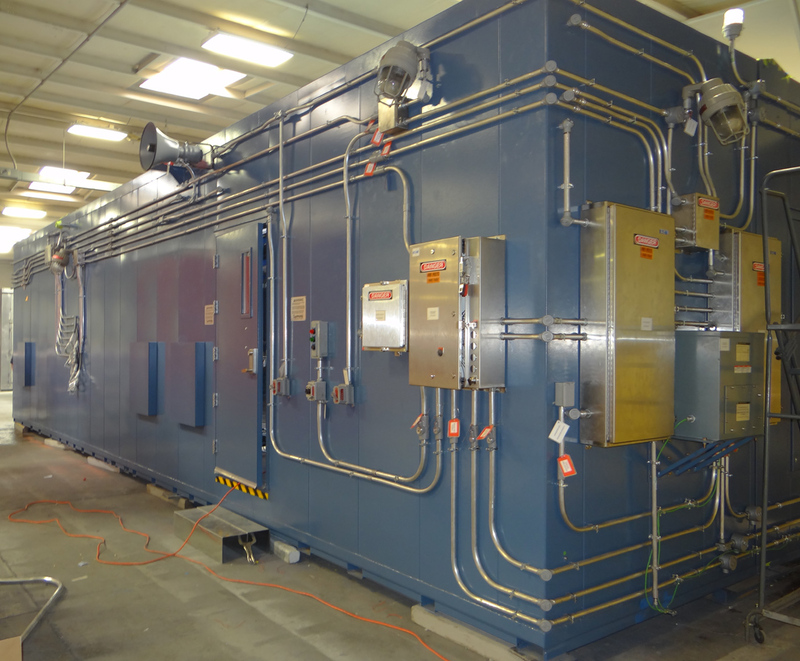 Industry's 1st & Only Intertek Tested and FM Approved 2 Hour Fire Rated wall construction built with 1.5 hour fire rated roof construction, 1.5 hour fire rated door construction, and multiple layers of ¾” gypsum ultracode wallboard. 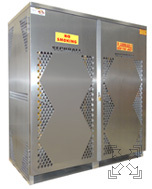 Air inlet vents with UL Listed and labeled fire damper with louvers. 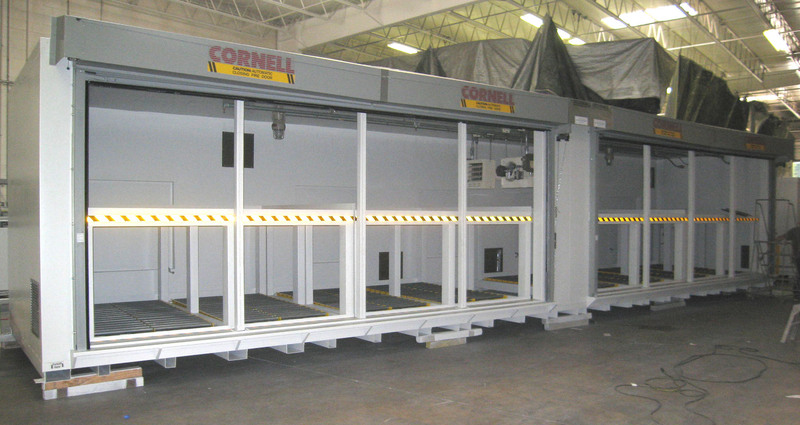 Dampers have a galvanized steel frame, curtain-type galvanized steel blades and a UL Listed 165° F fusible link. 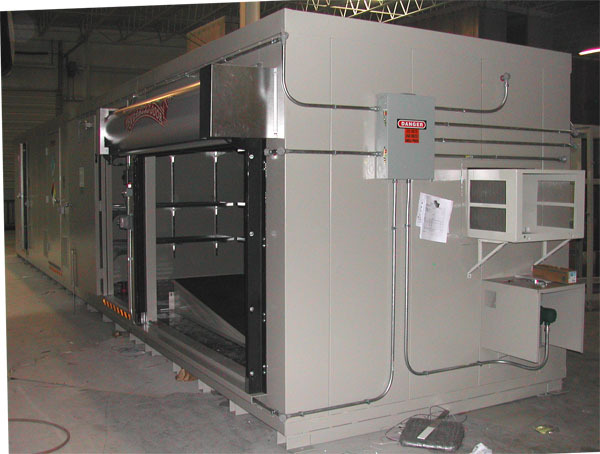 Industry's 1st & Only Intertek Tested and FM Approved 4 Hour Fire Rated wall construction built with 3 hour fire rated roof construction, 3 hour fire rated door construction, and multiple layers of ¾” gypsum ultracode wallboard. 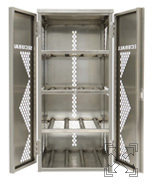 Air inlet vents with UL Listed and labeled fire damper with louvers. 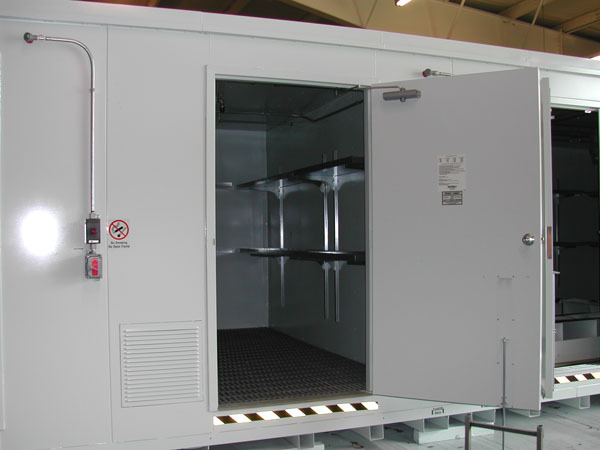 Dampers have a galvanized steel frame, curtain-type galvanized steel blades and a UL Listed 165° F fusible link. Slip resistant planking 13" wide, 12 gauge galvanized steel with raised perforated buttons and debossed holes protruding down. 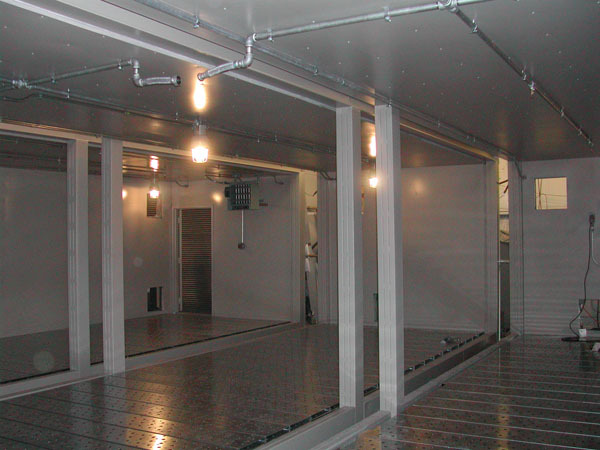 Galvanized steel floor planking above sump area for maximum corrosion resistance. 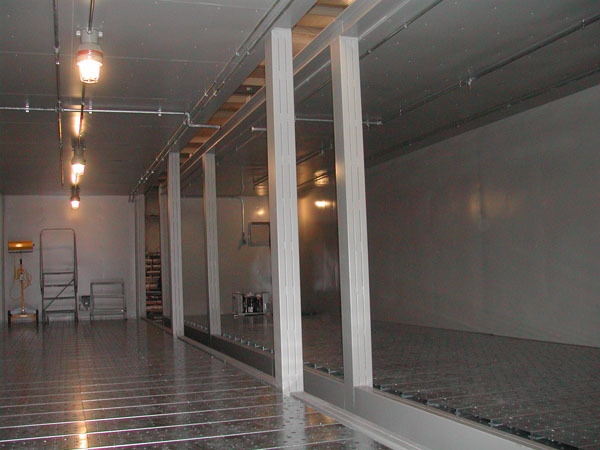 Floor planking designed to sustain a minimum uniformly distributed load of 250 pounds per square foot. 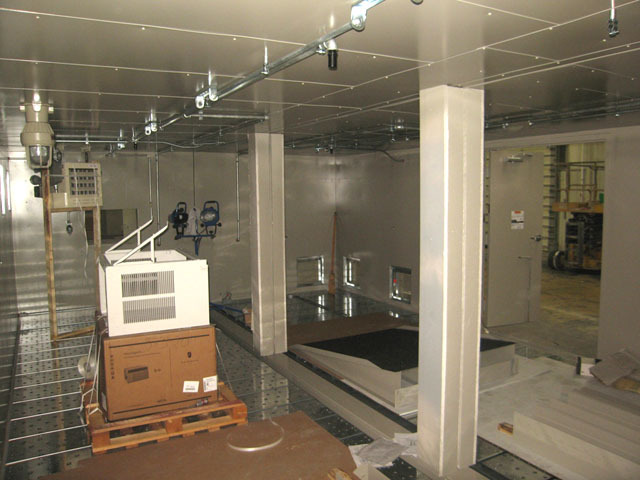 Floor planking and supports are removable to facilitate sump cleaning in the event of a spill. 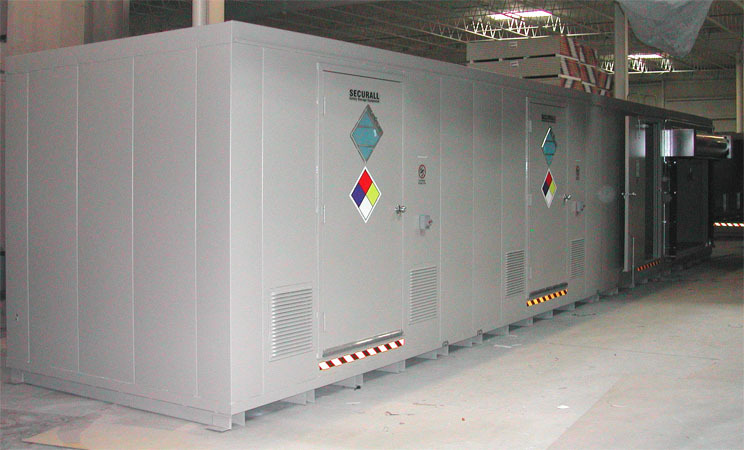 Used in the construction of buildings designed to store Class IA and Class IB flammables. 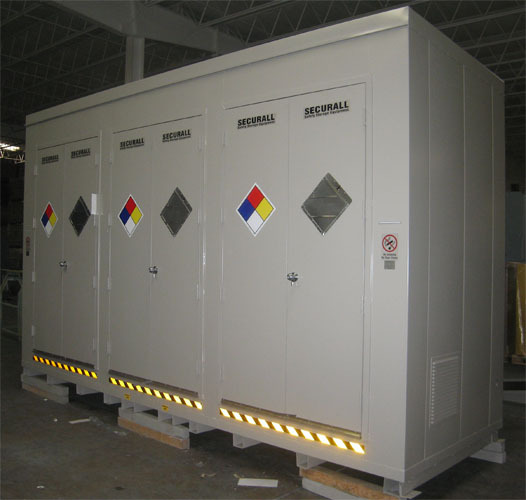 Explosion relief panels limit the damage within an enclosed hazardous location. 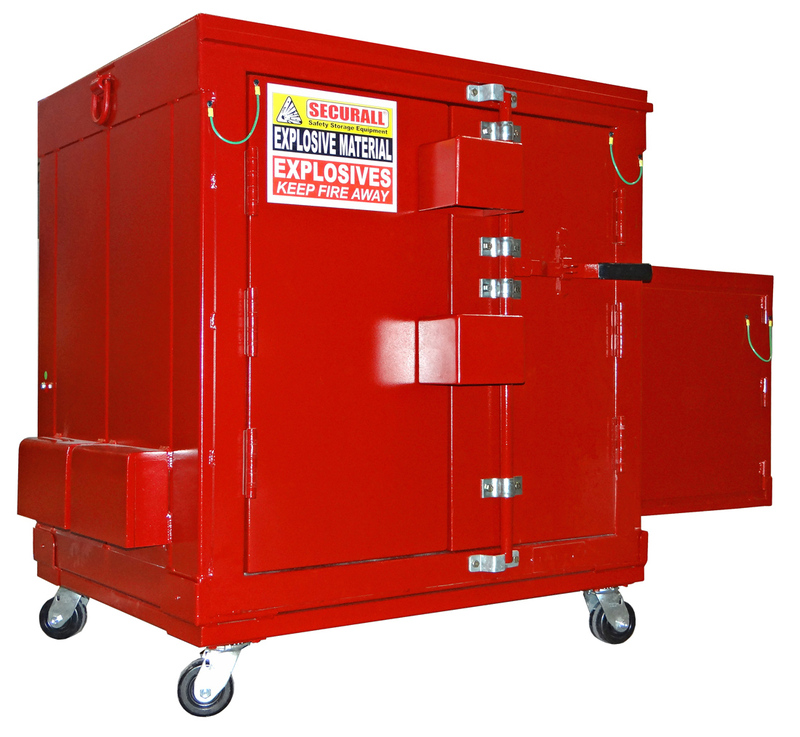 When the panel(s) are subjected to an explosive force, the pressure relieving panel quickly vents the force before it causes major damage. 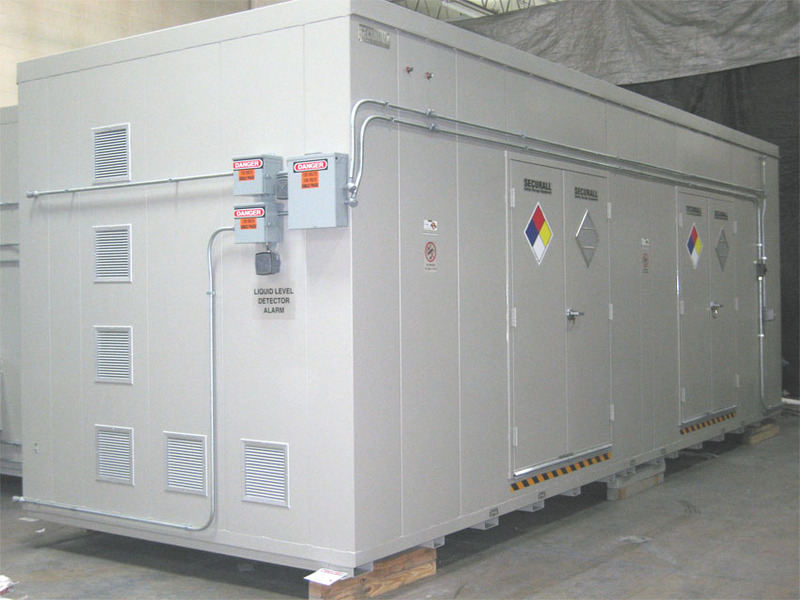 The panels are designed to release at 20 psf. 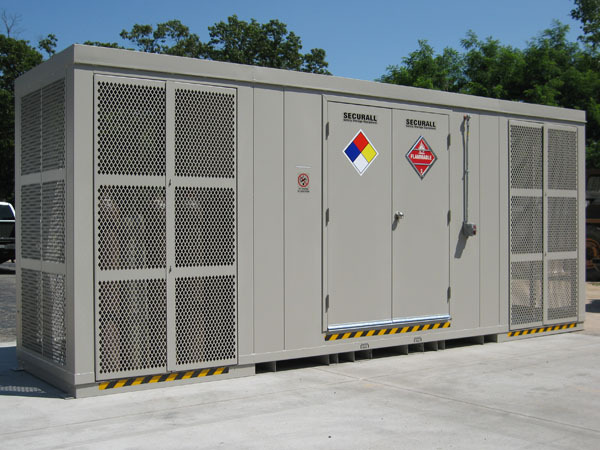 Securall Fire-Rated Hazardous Material Storage Buildings (10'H X 42'W X 9'D Max Dimensions) carry the Factory Mutual System Approval label and are constructed based upon UL Fire Resistance Ratings classification criteria. 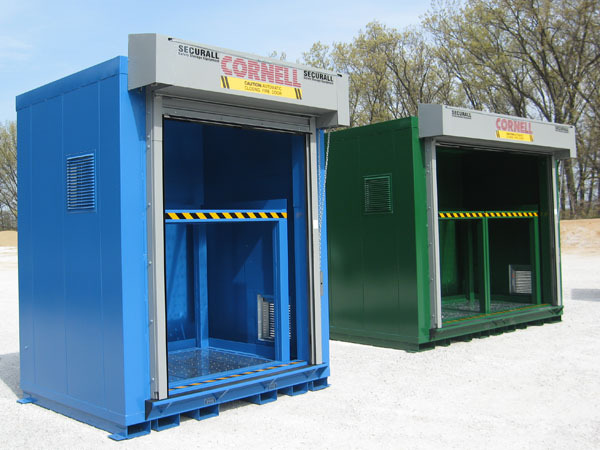 In addition, all Fire-Rated Buildings come with hydraulic operated self-closing, fire-rated doors and fire damper protected vents.